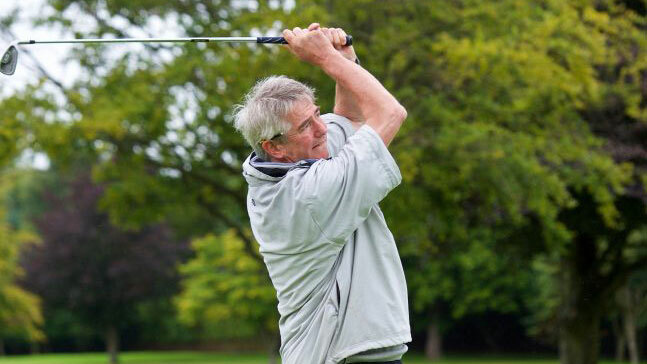 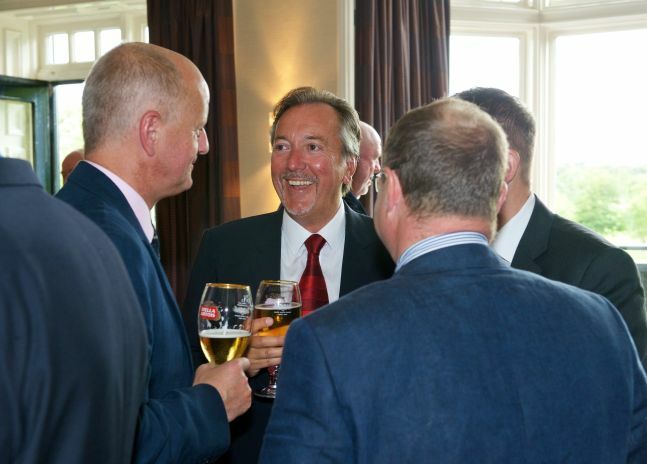 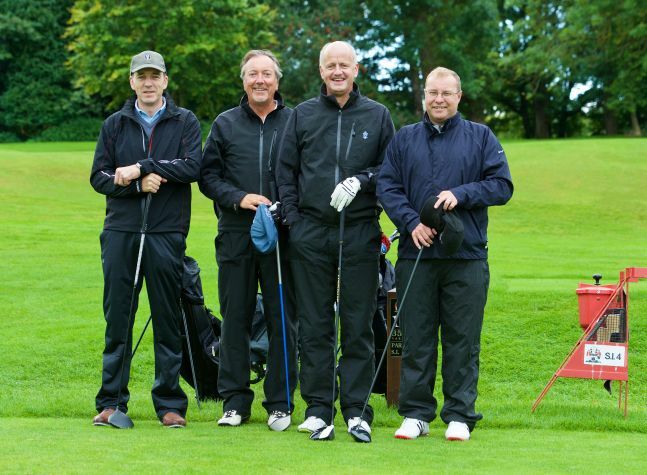 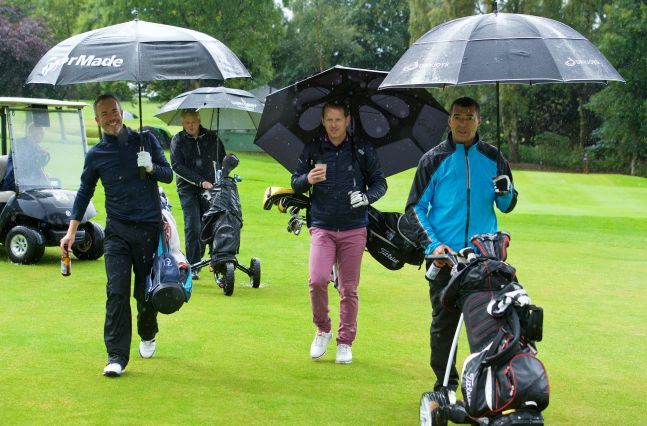 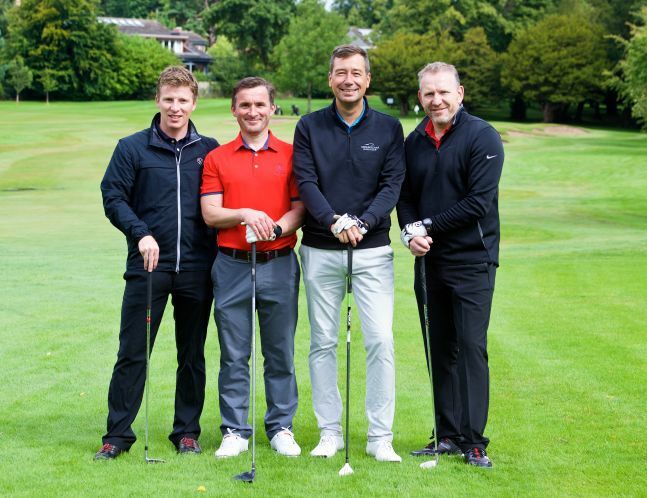 The Sportsman’s Charity once again held the annual golf day at the prestigious Royal Burgess Golfing Society on Friday 18th August. 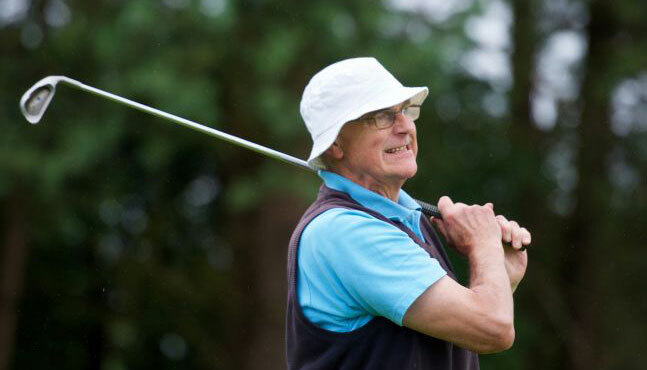 Teams included many ‘well kent’ faces as well as some very welcome first timers. 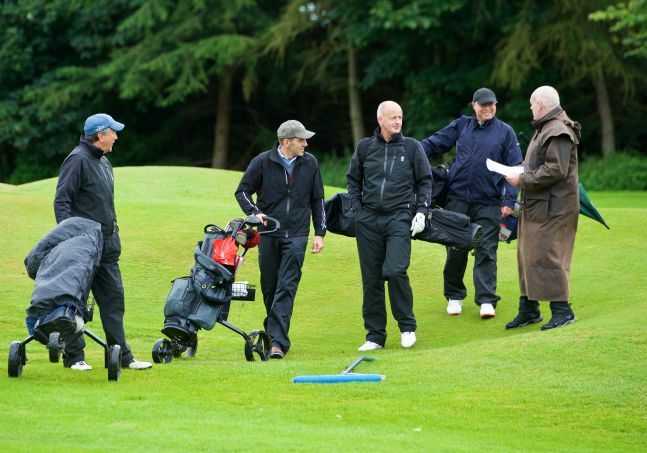 After the tasty breakfast rolls and a welcome from Fraser Porter, players made their way to their starting holes for the shot-gun start. 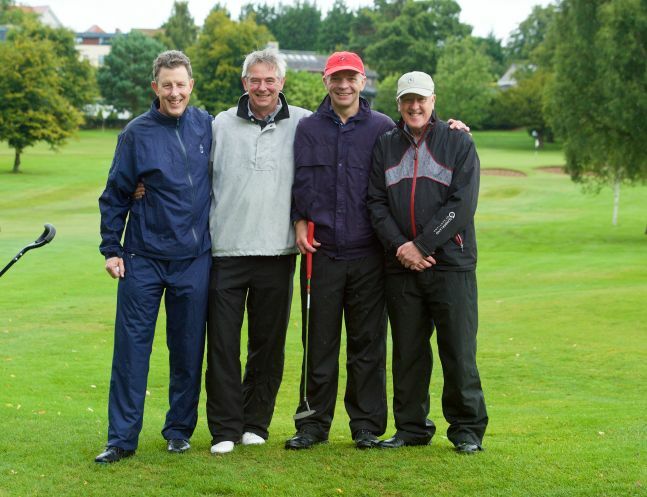 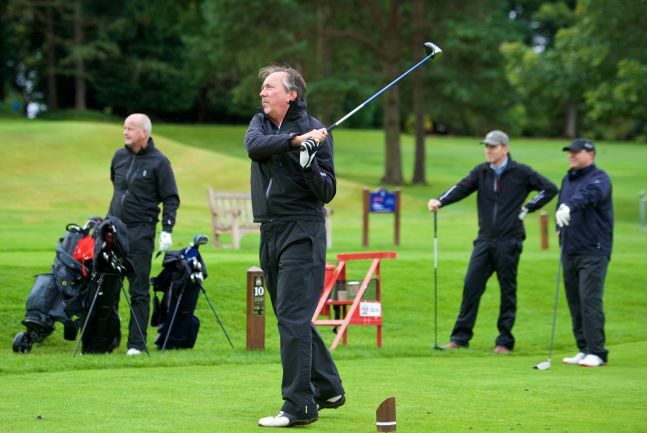 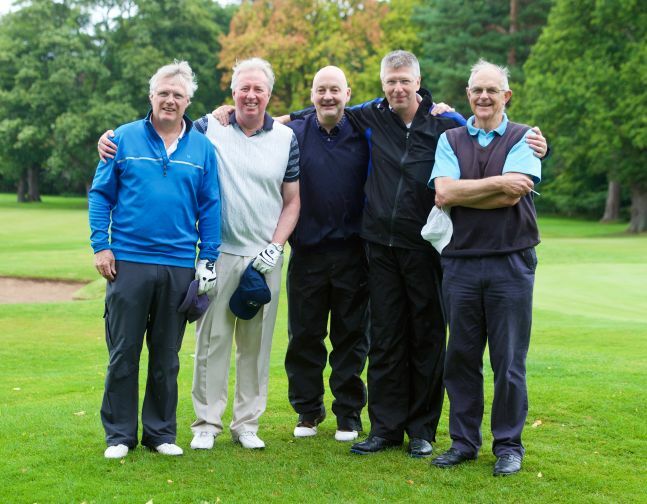 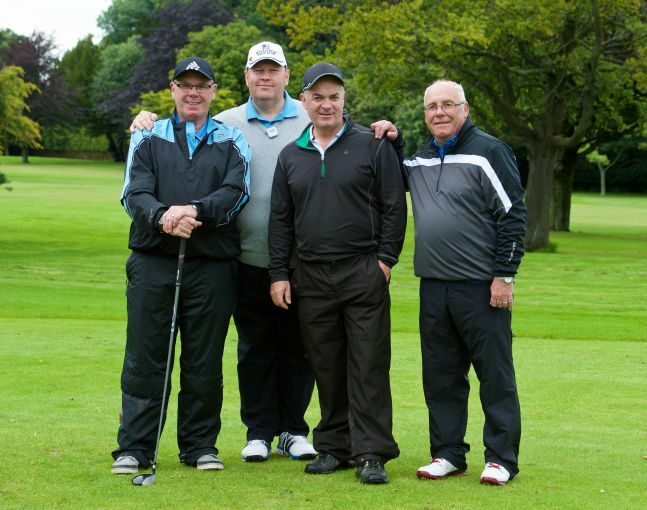 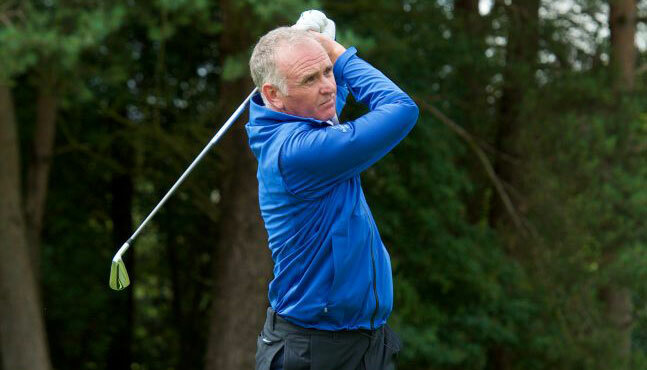 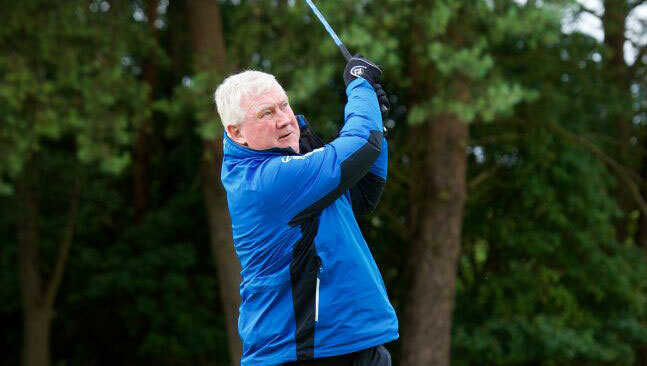 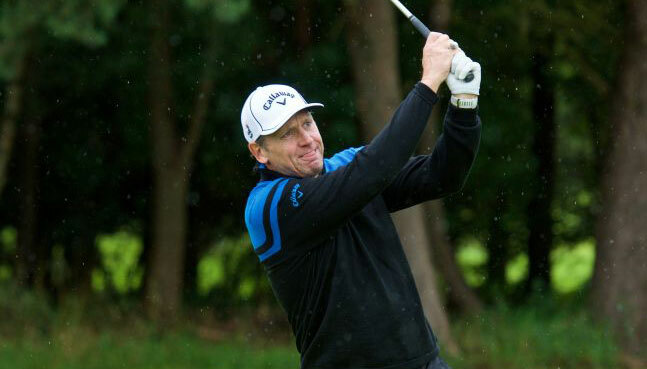 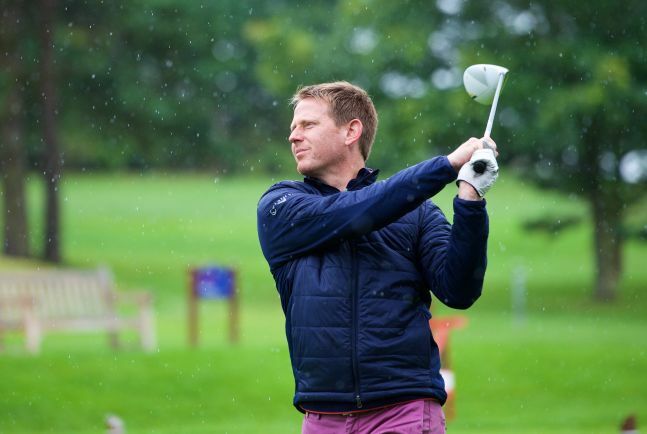 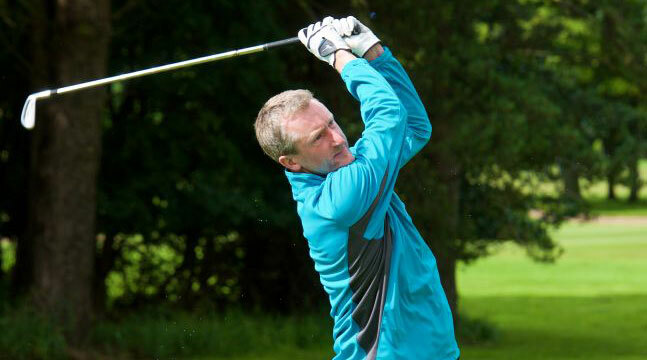 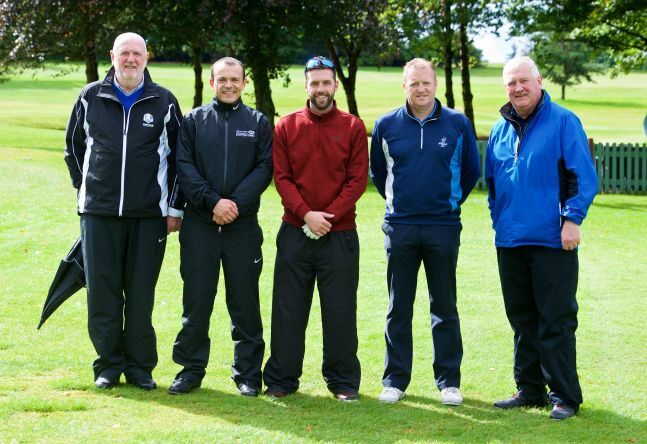 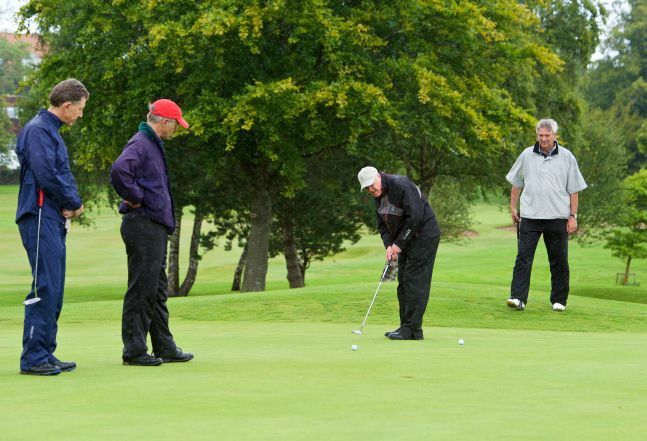 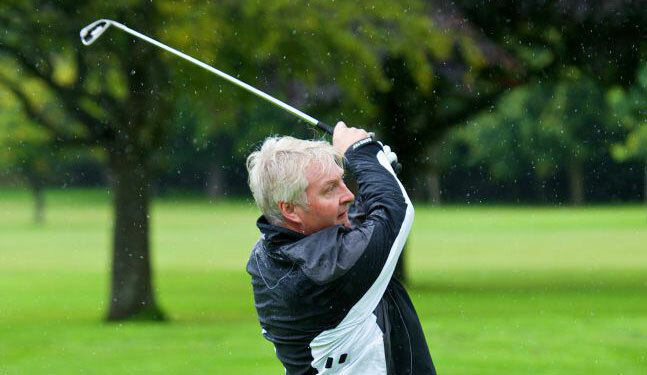 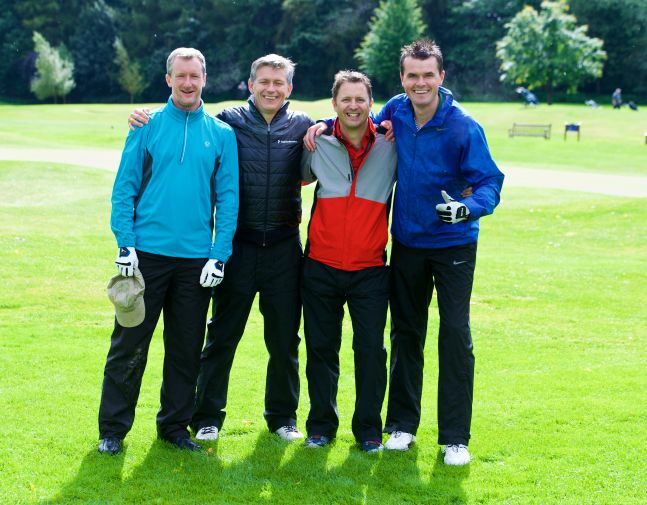 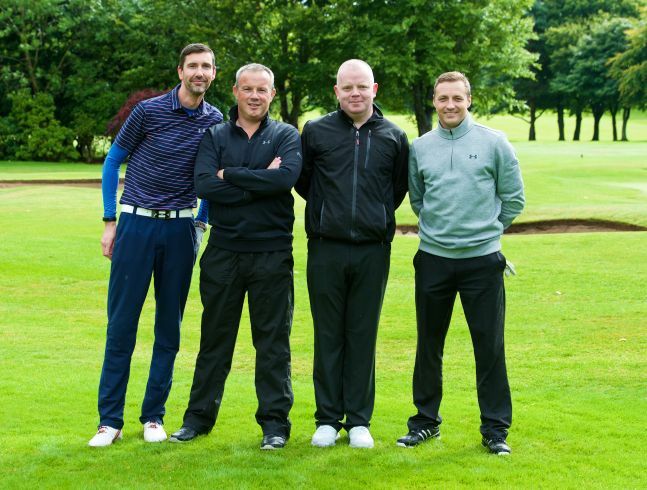 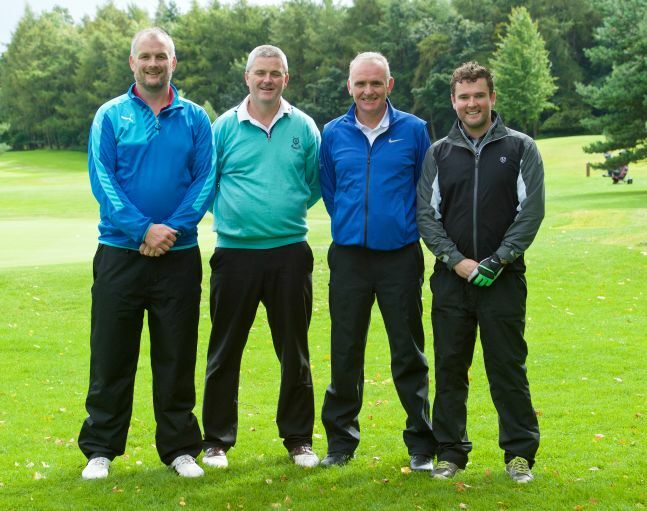 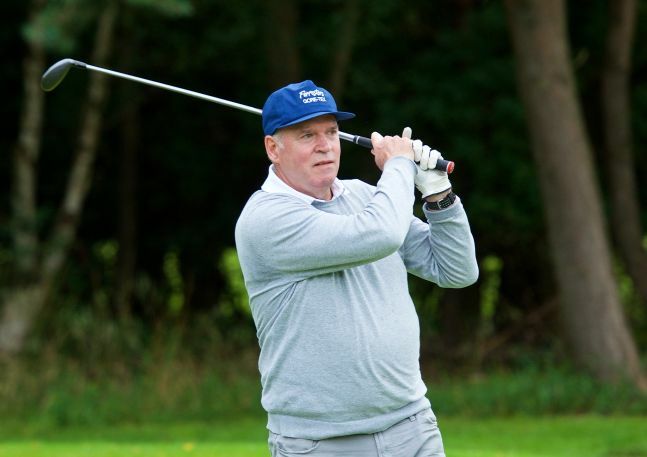 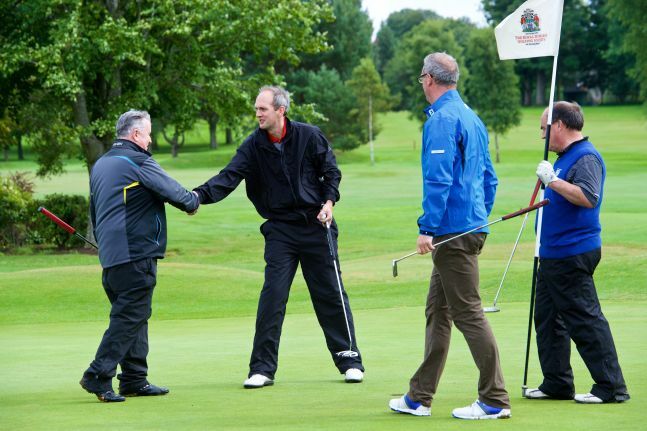 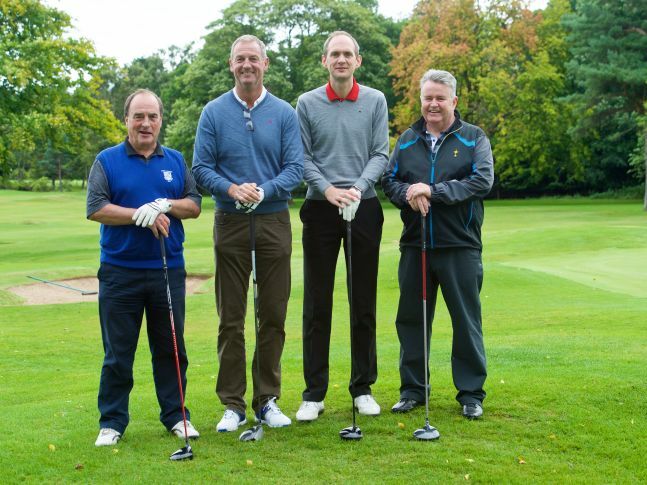 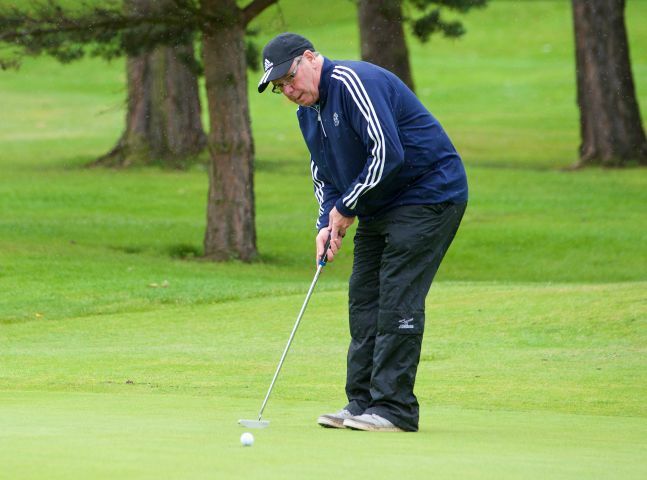 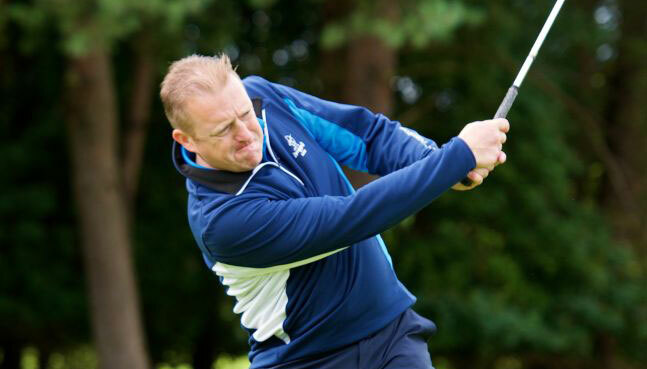 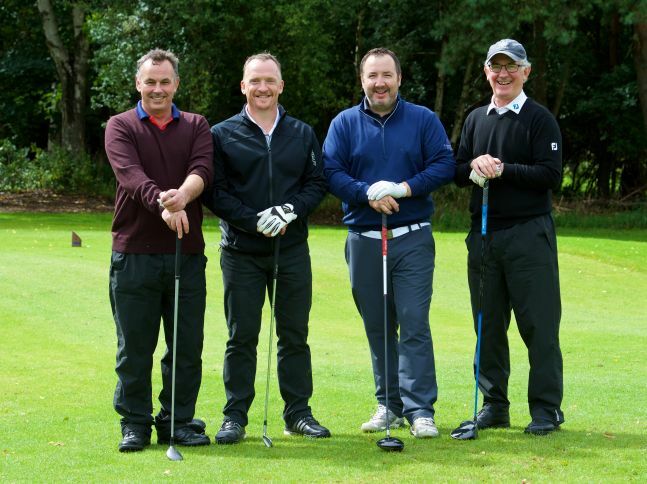 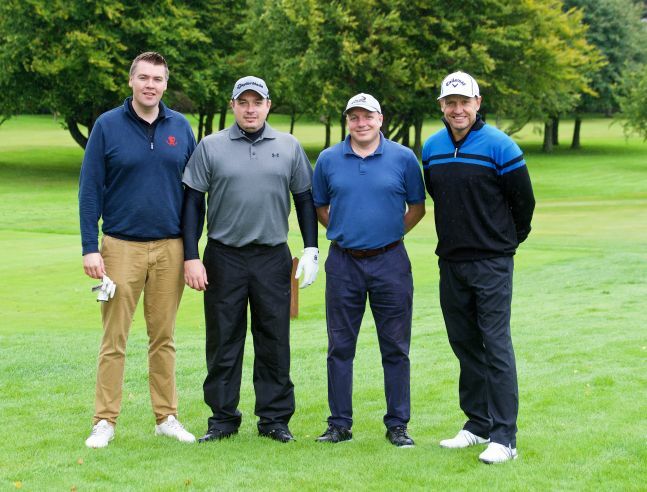 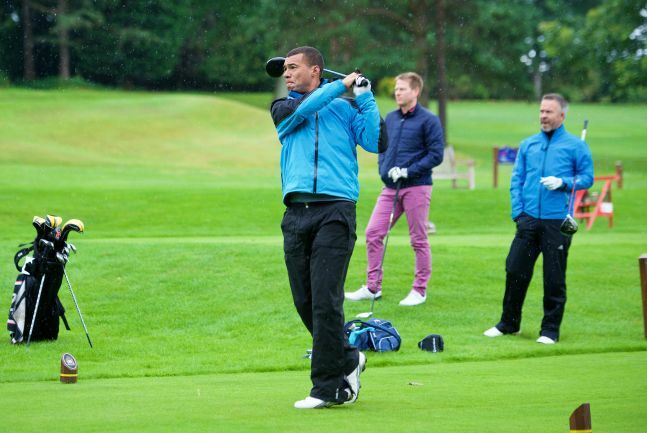 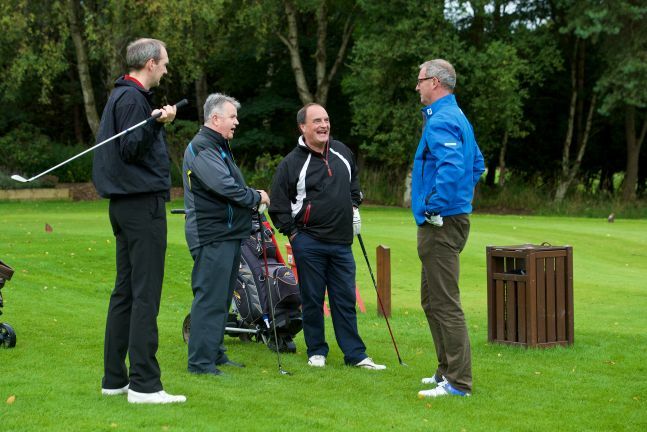 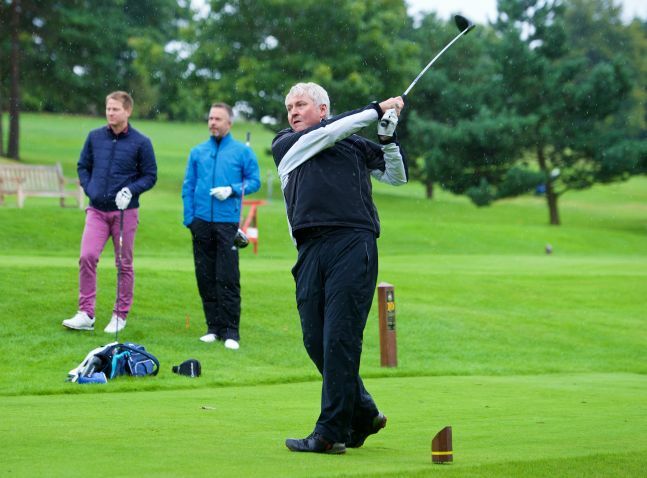 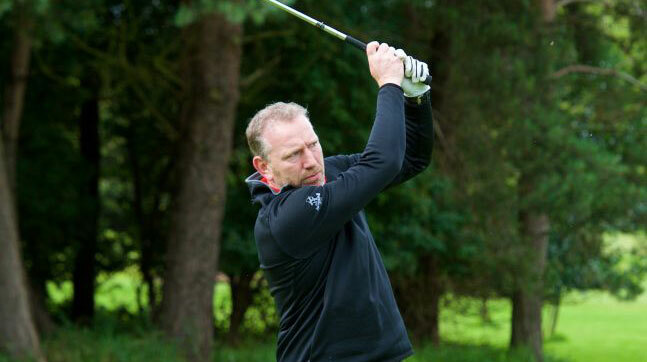 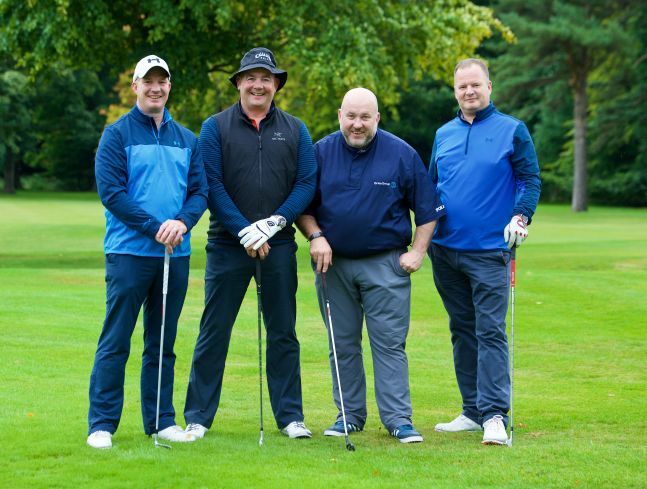 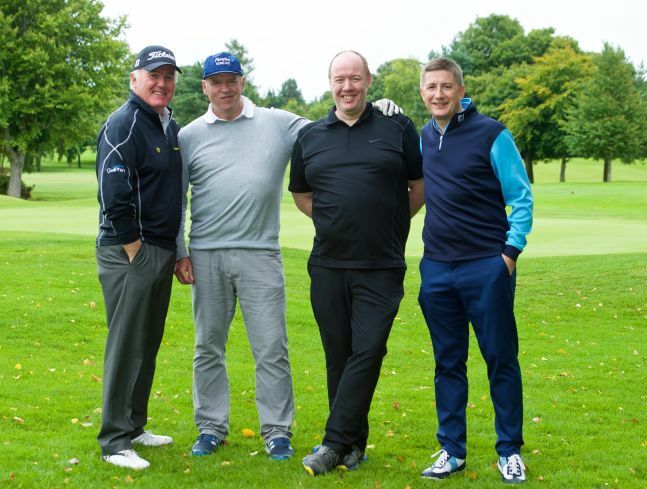 Some sporting greats joined in the competition, including former Scotland rugby captain Andy Nicol and former Scotland footballers Dave McPherson and Michael Stewart. 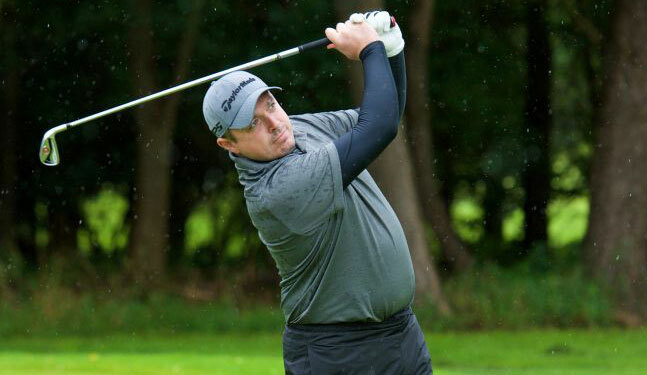 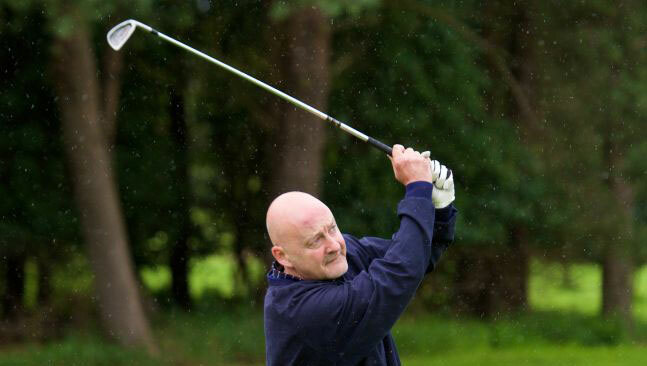 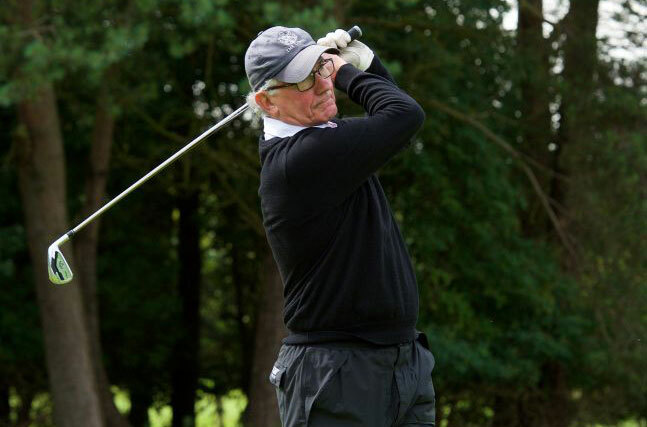 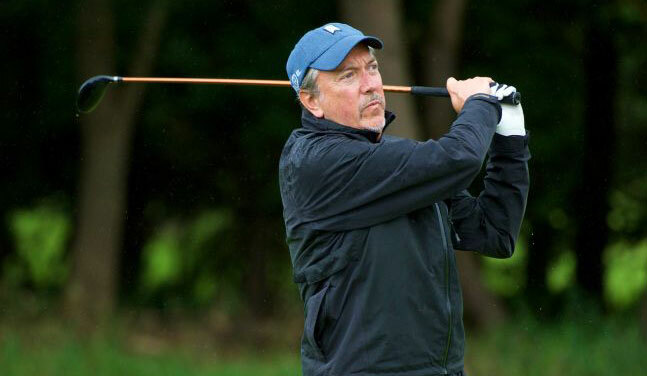 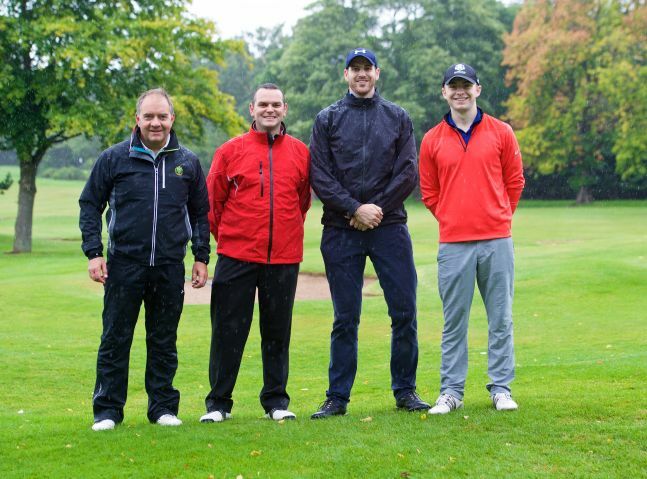 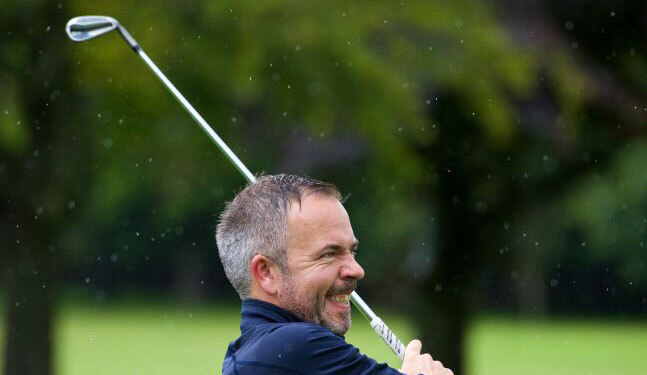 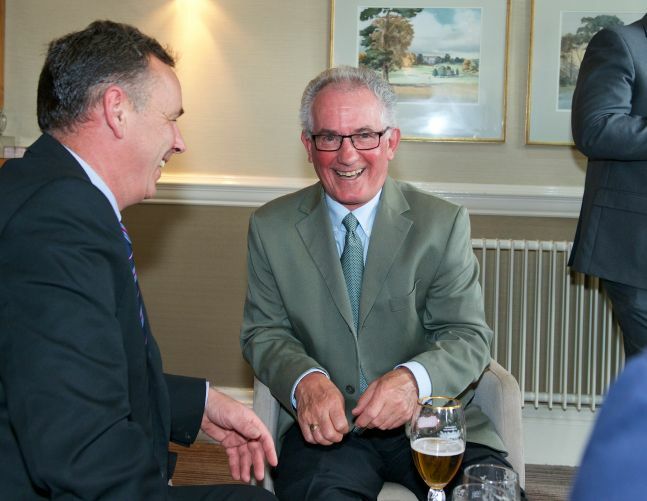 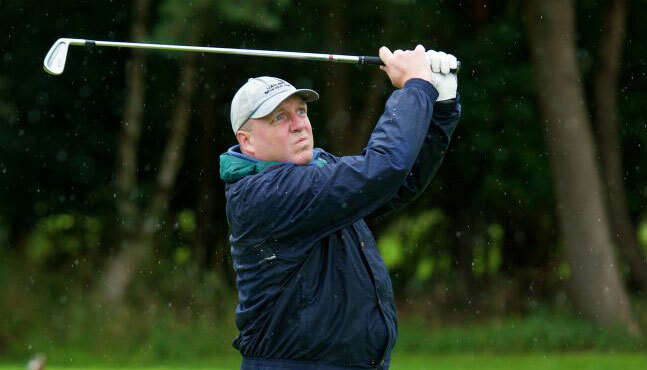 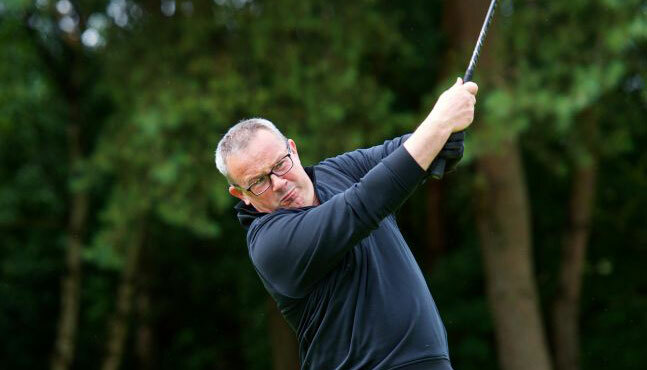 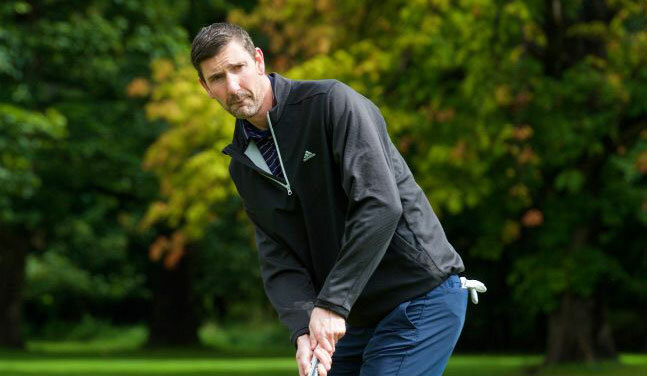 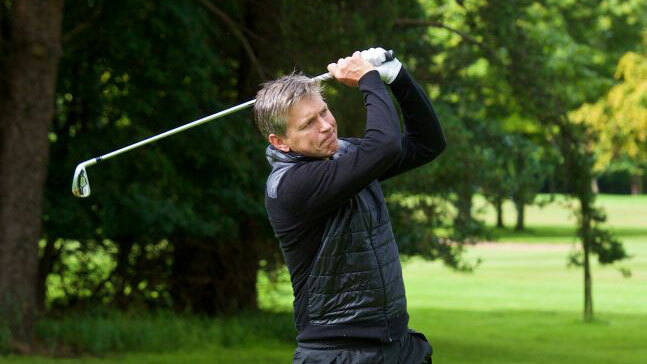 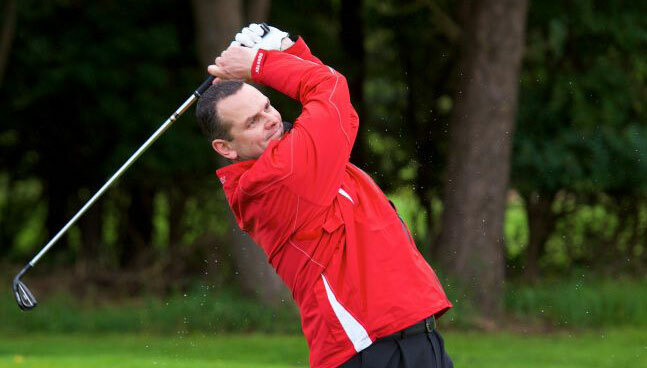 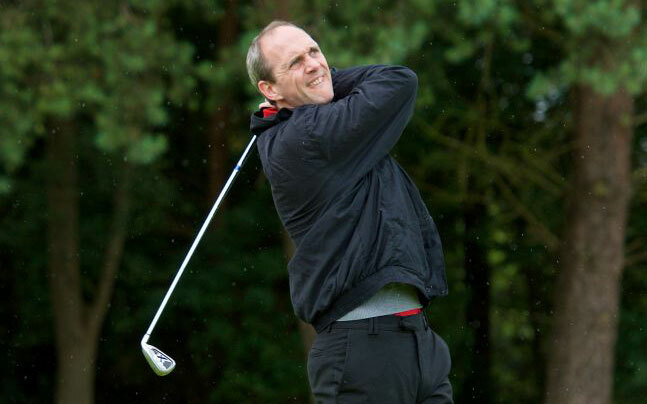 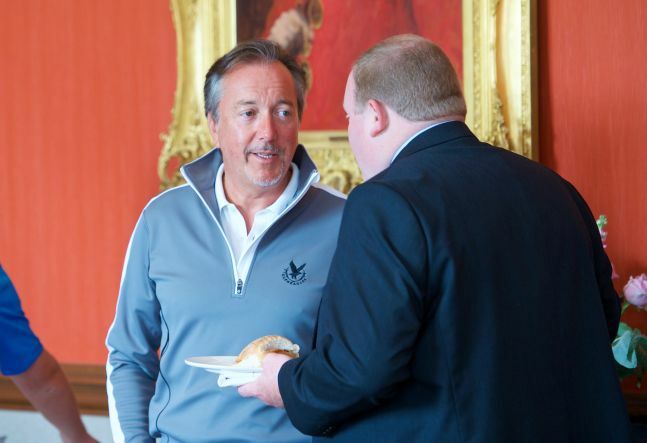 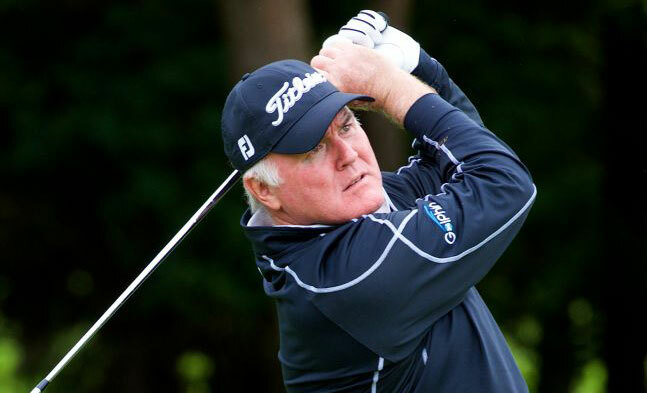 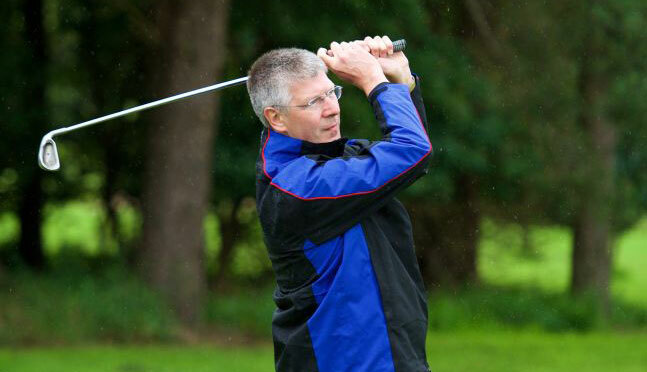 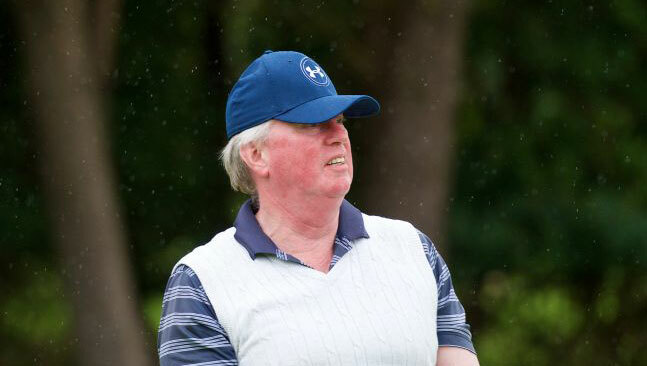 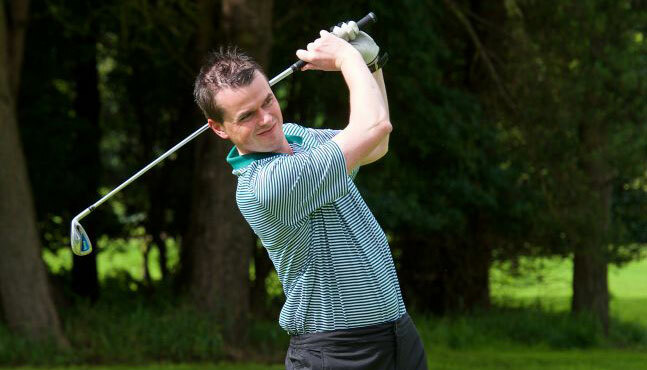 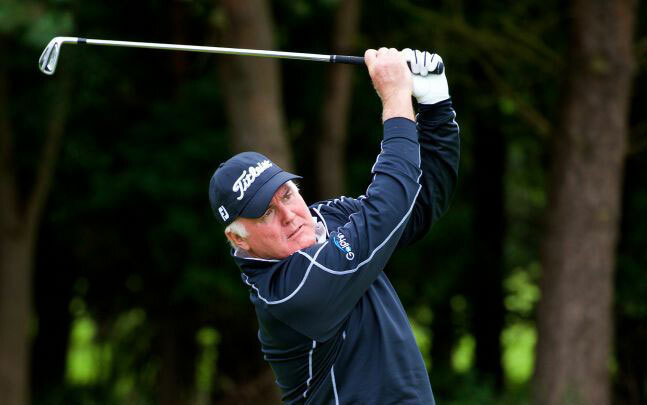 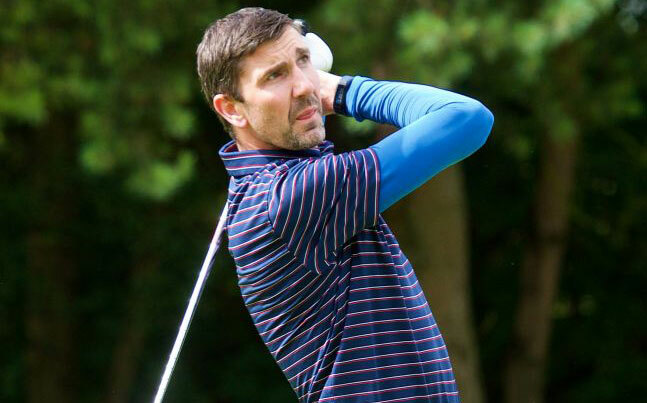 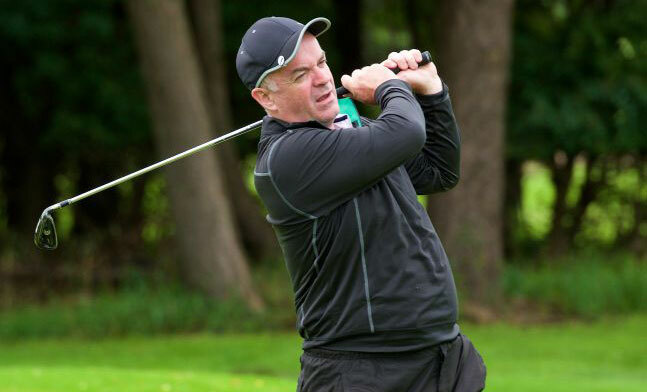 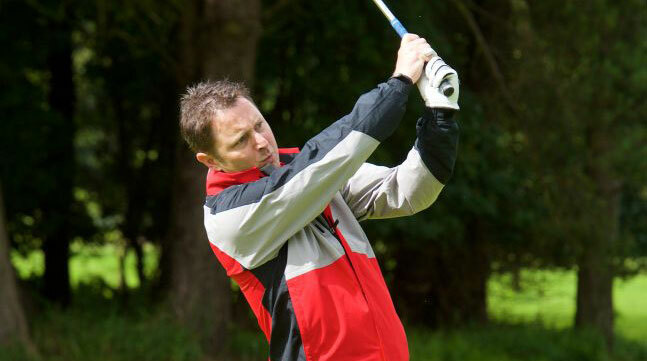 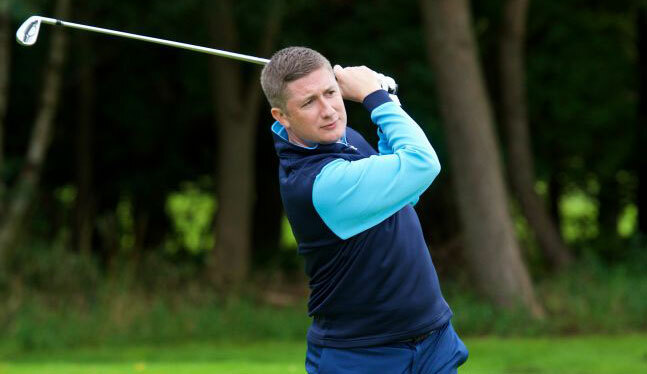 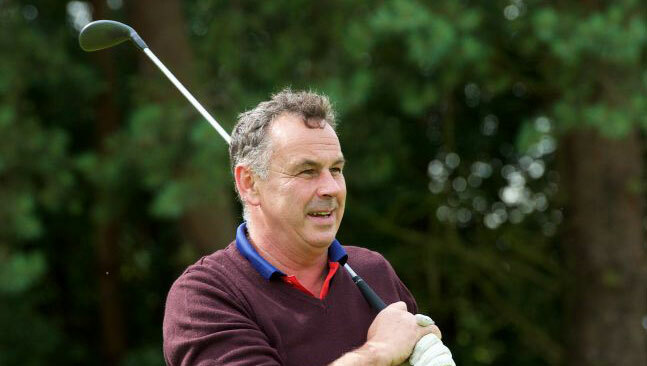 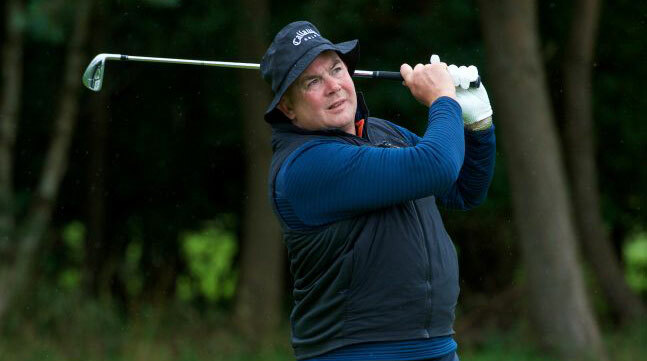 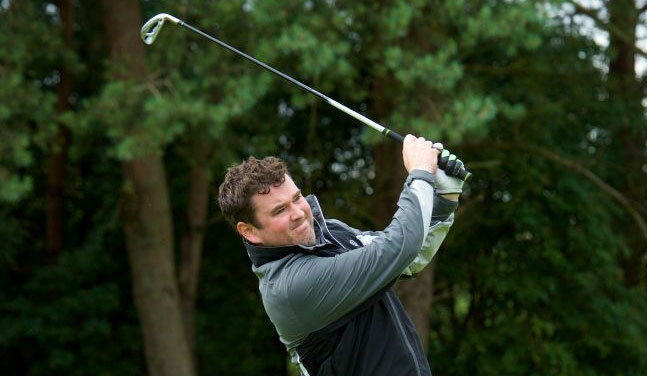 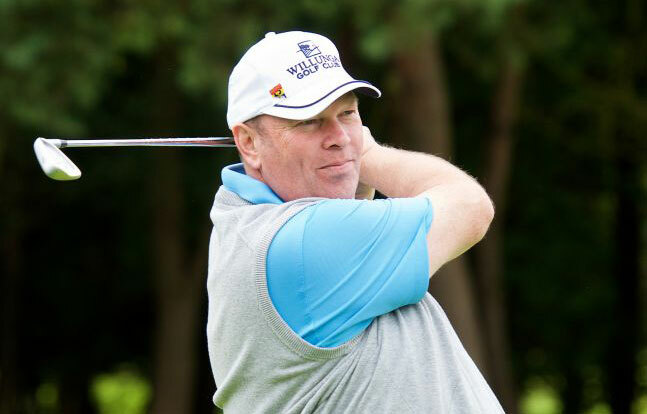 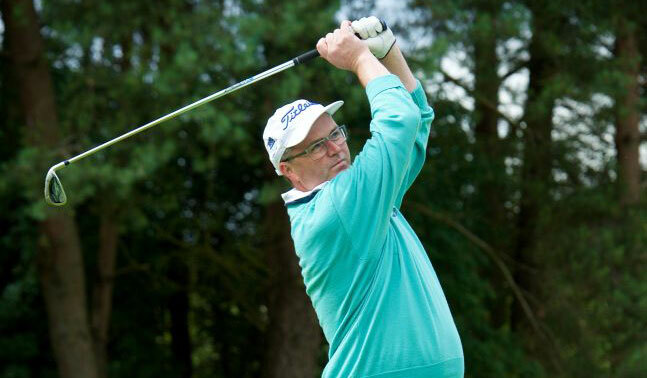 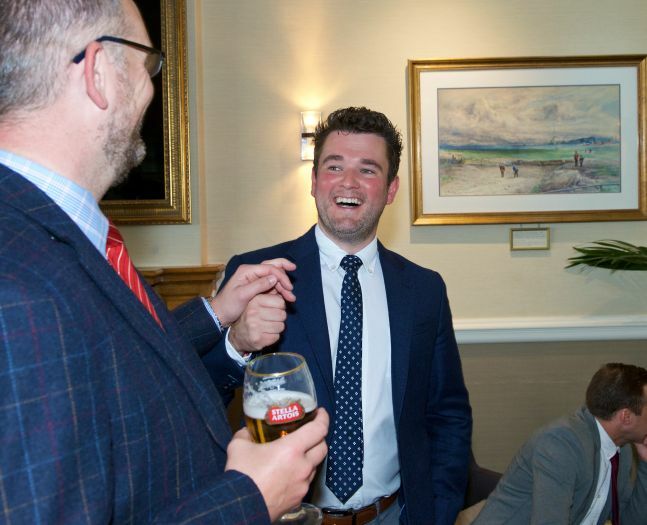 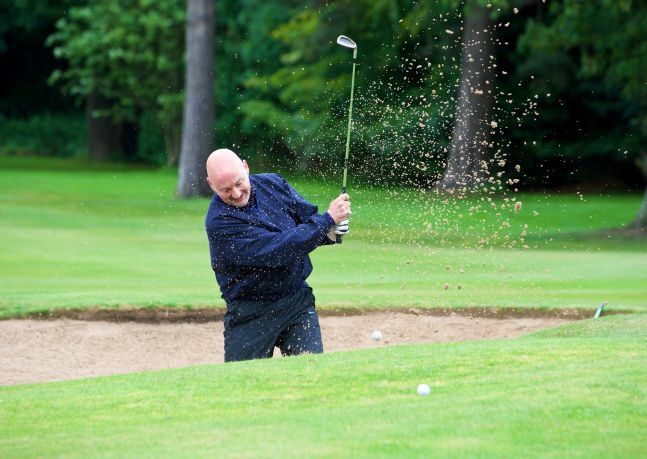 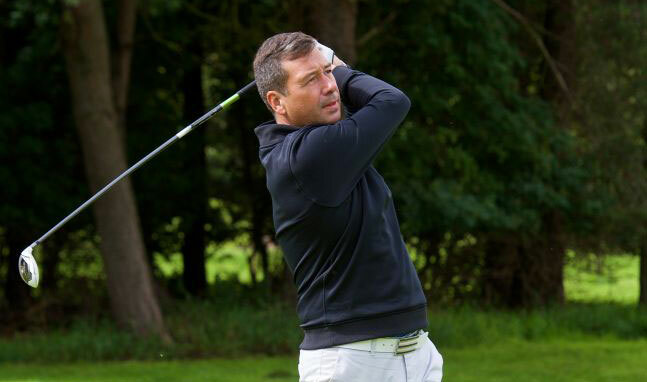 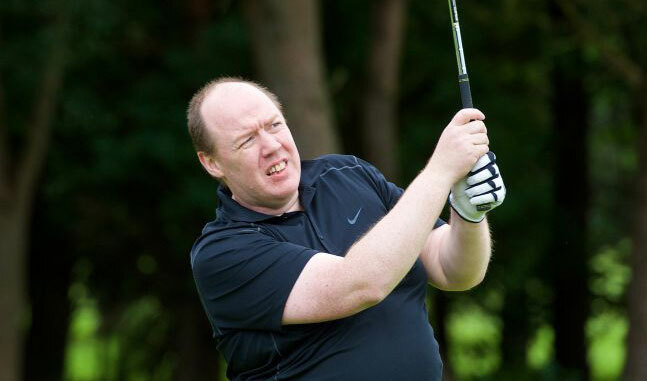 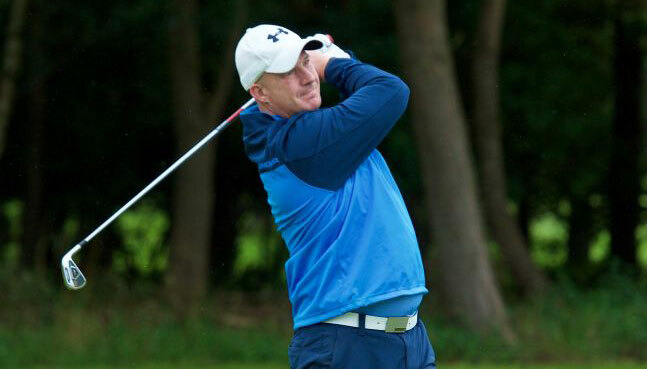 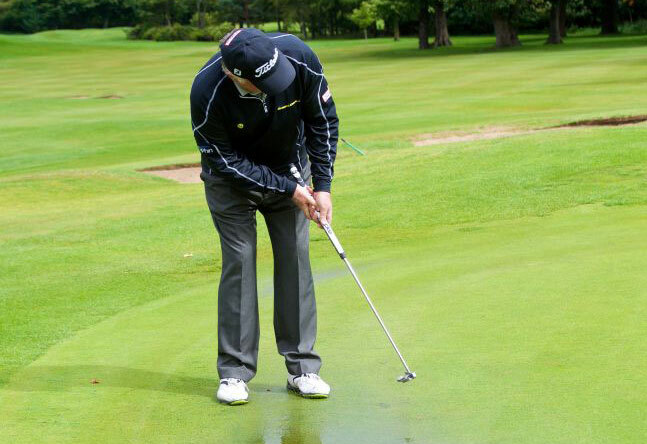 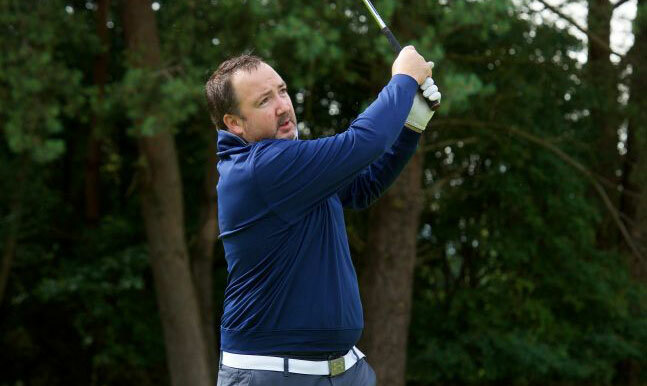 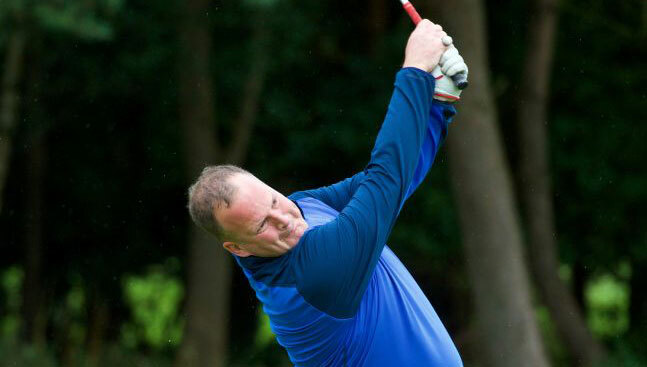 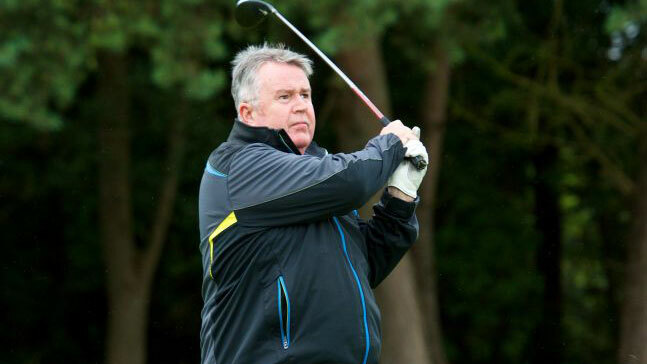 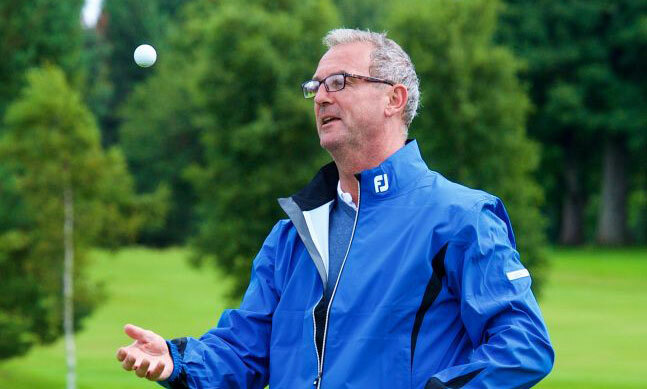 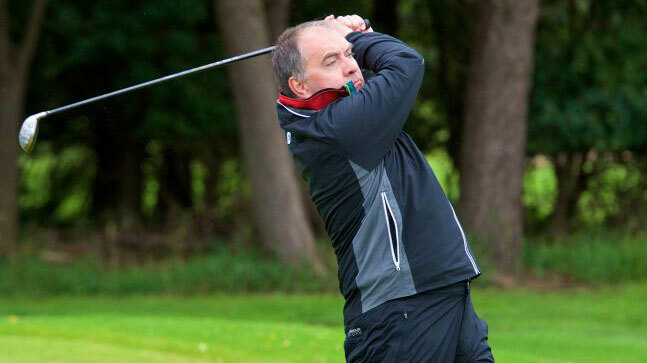 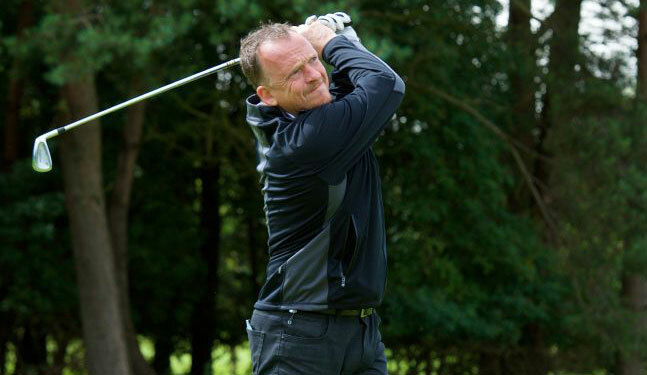 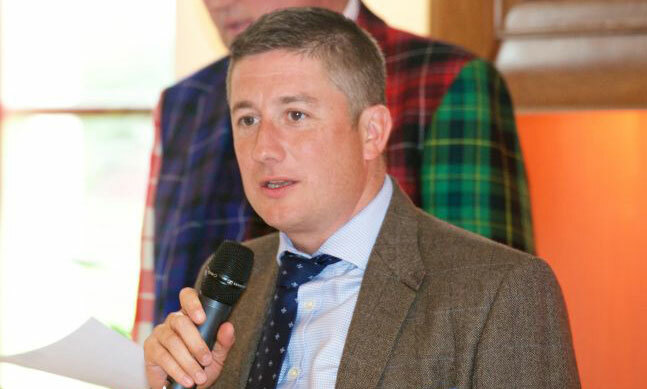 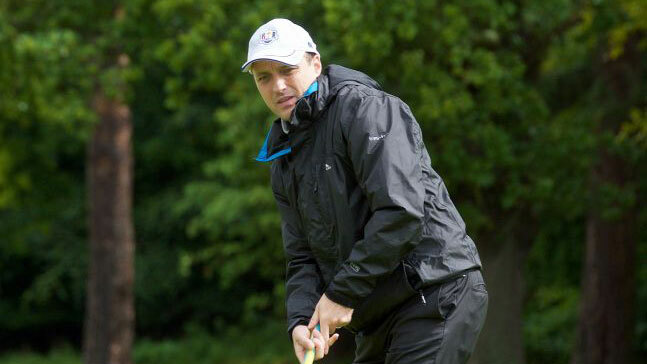 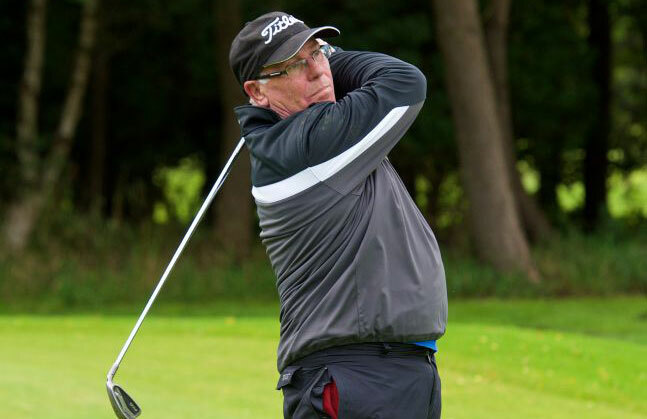 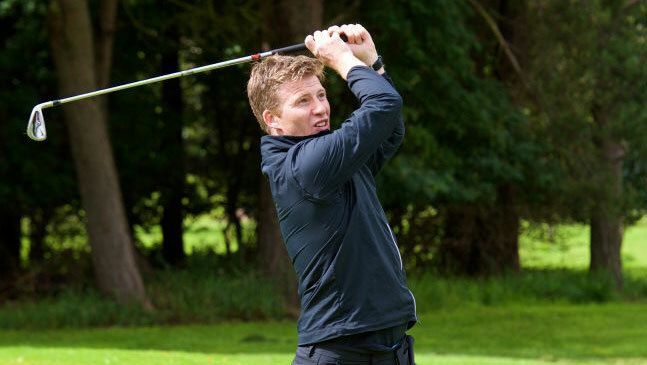 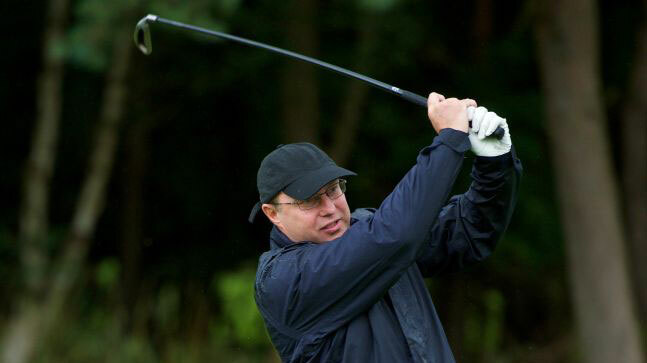 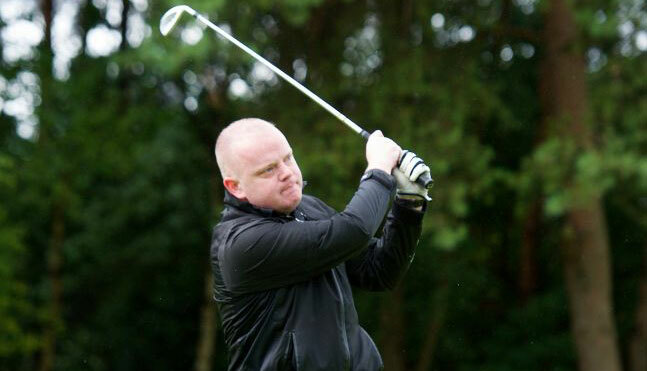 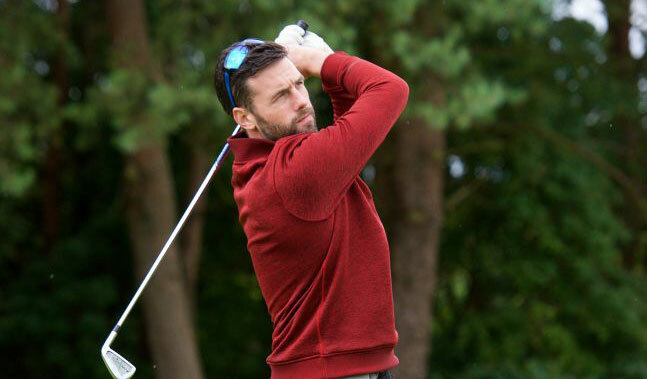 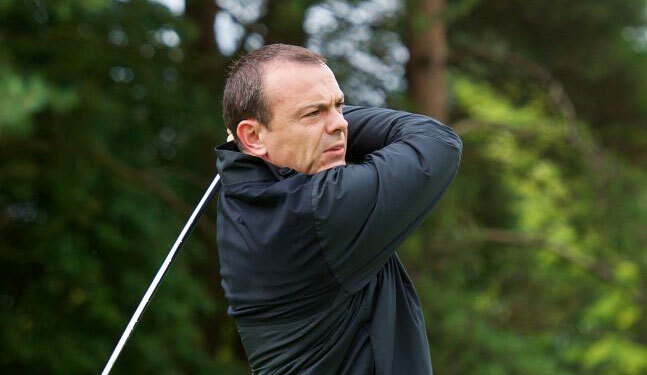 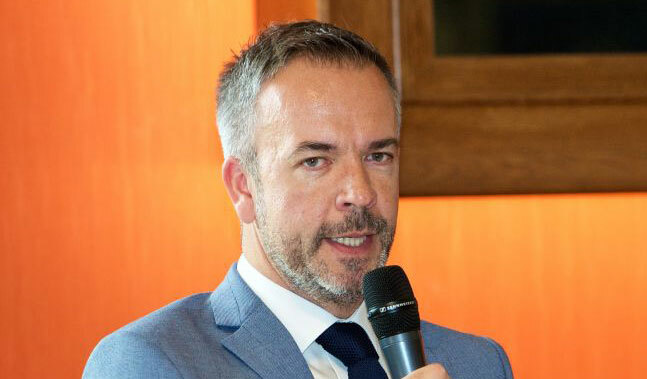 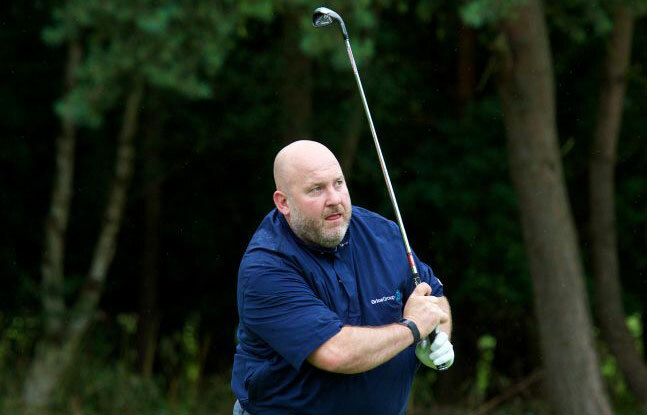 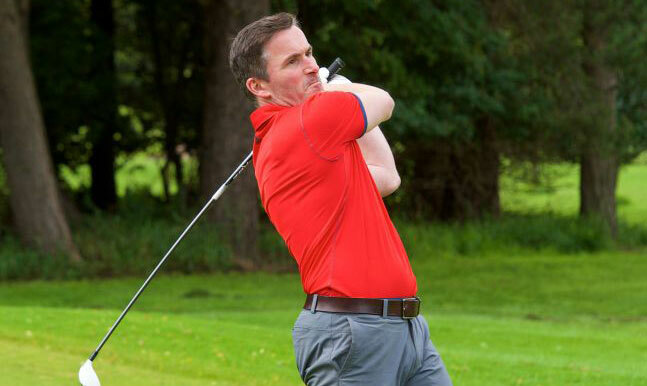 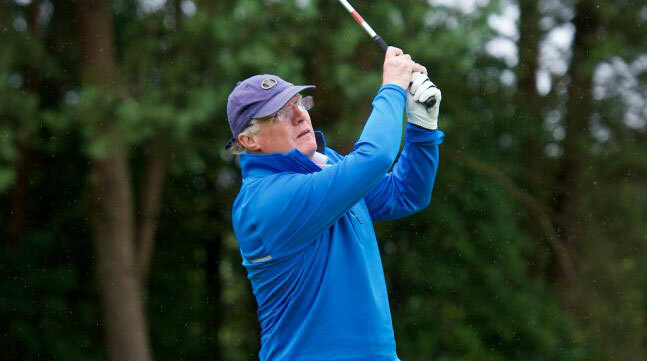 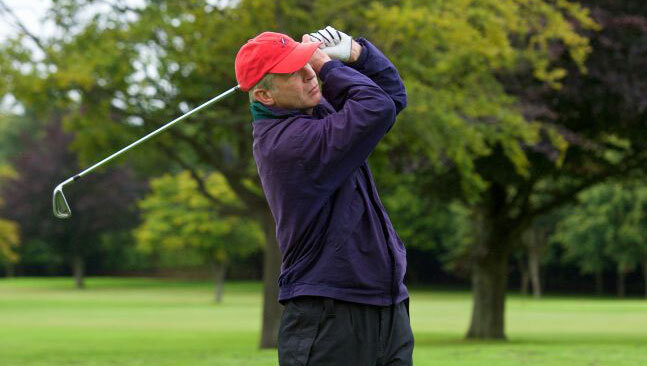 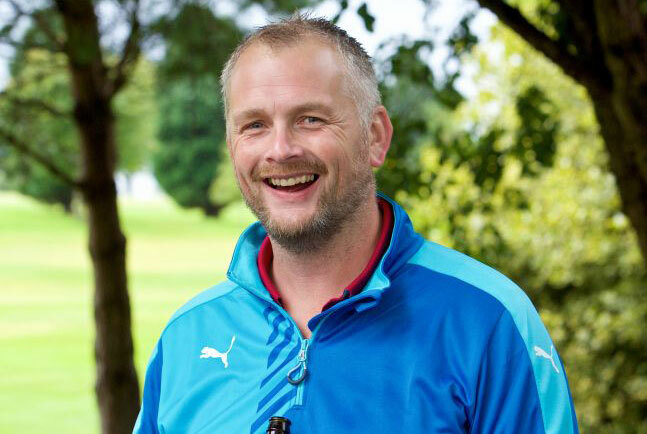 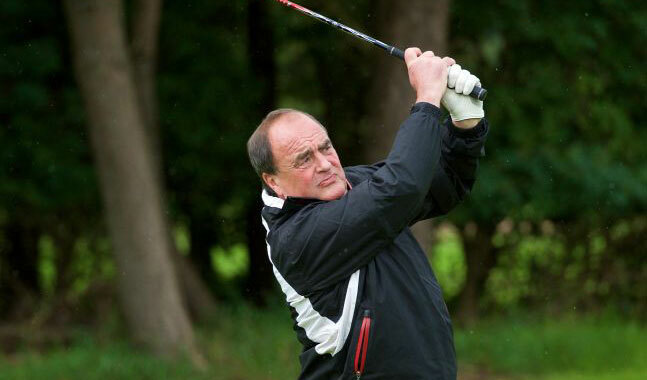 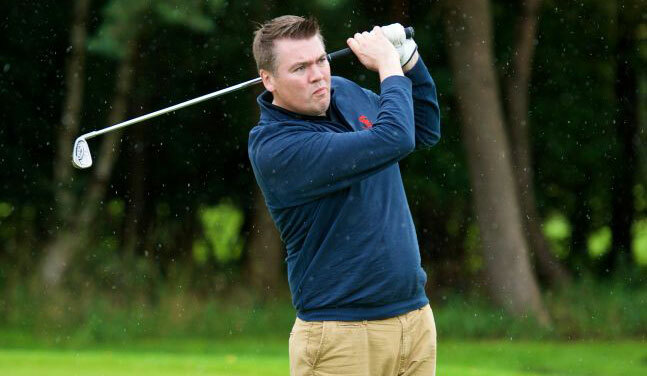 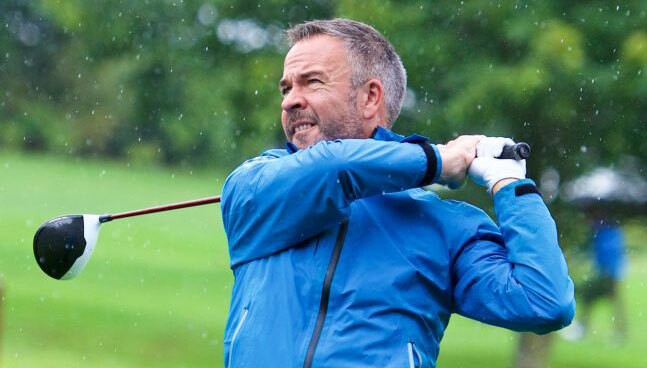 We were also honoured to welcome ex Ryder Cup player and former European Order of Merit winner Ronan Rafferty, who was making his Sportsman’s Charity Golf event debut – clearly a highlight in his golfing career……..! 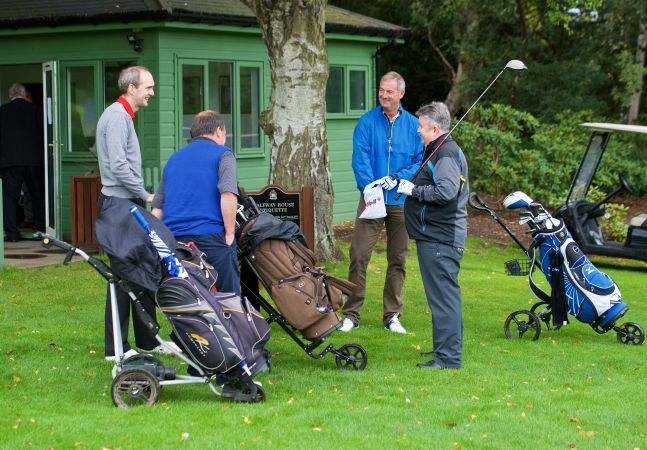 Whilst making their way around the course, players were encouraged to take part in various competitions – as well as the usual longest drive and nearest the pin, the ‘nearest the ditch but not in it’ challenge at the par 3 18th proved the prize no one wanted to win, with the ditch being 40 yards short of the green! 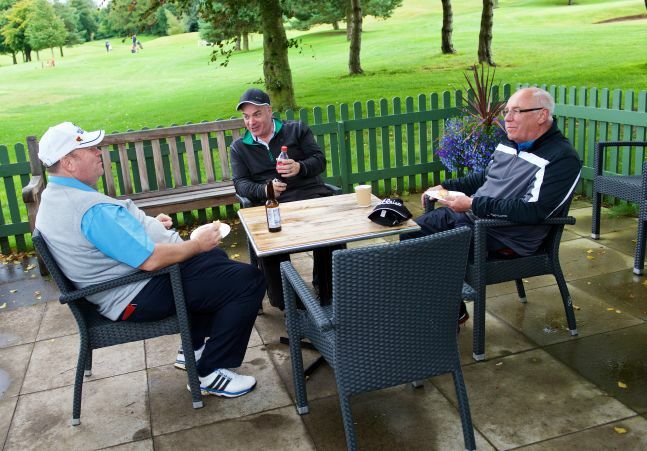 The half way house at the 13th provided teams with a welcome stop for refreshments and team photos before the ‘double your money’ challenge at the par 3 14th hole. 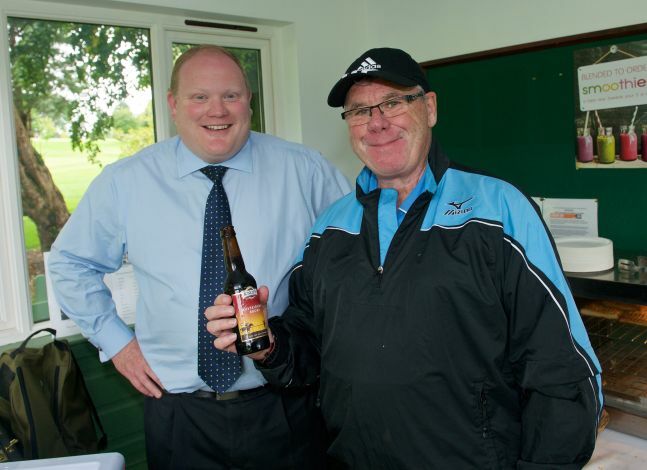 We were delighted to have the support of Knops Brewing Company as Sponsors of the bar this year – their range of first class beers proved to be particularly popular. 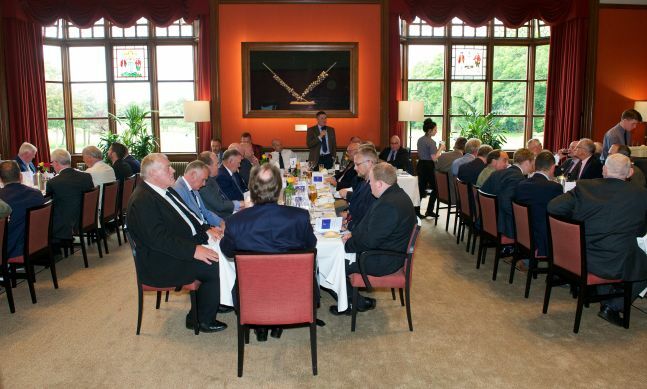 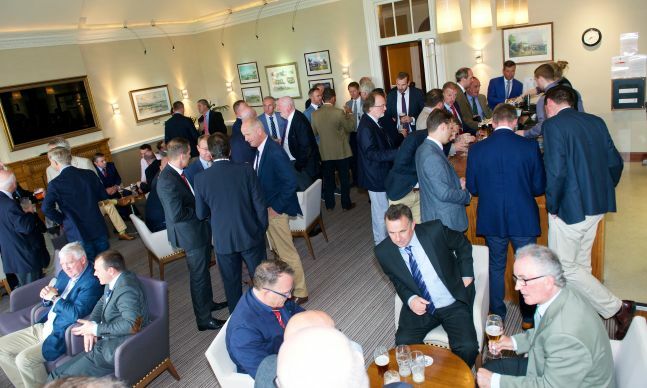 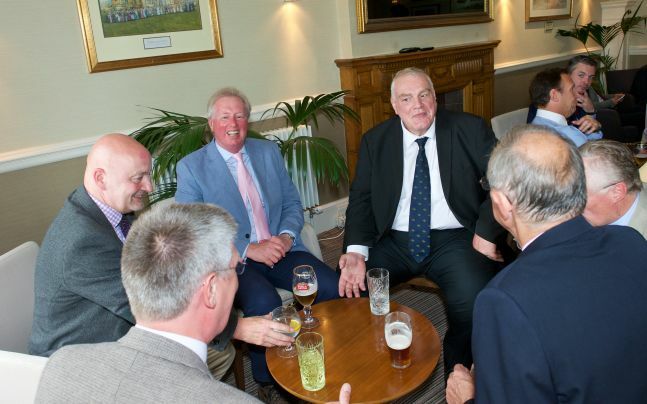 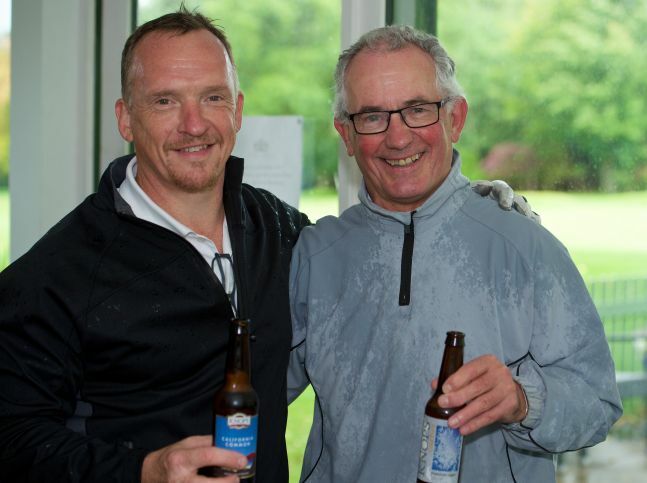 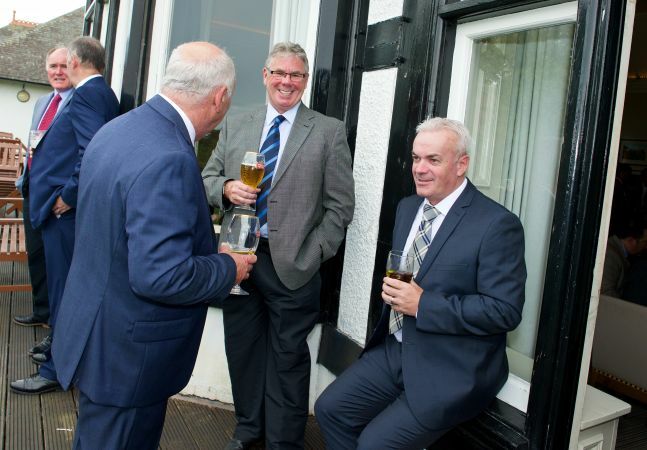 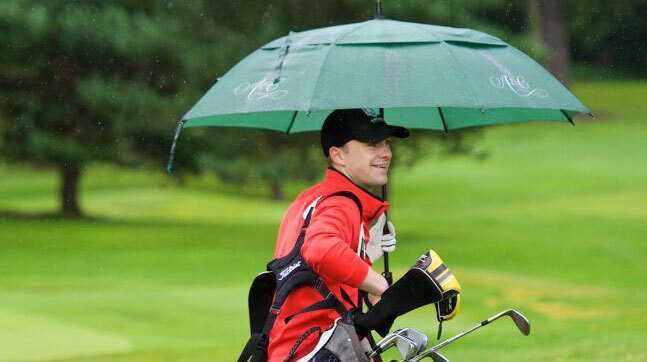 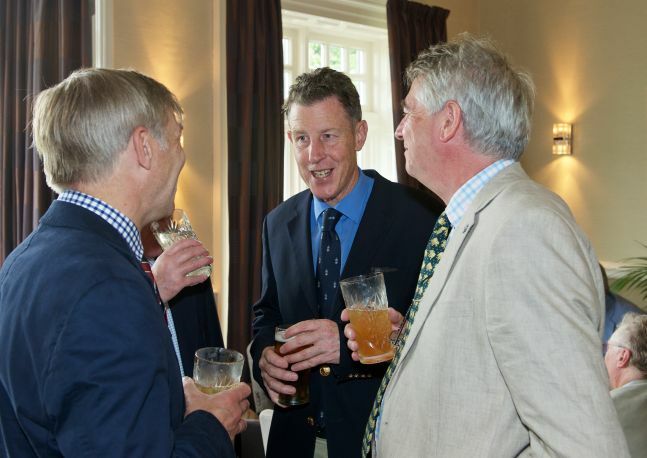 Despite a deluge of rain, which at one point saw play suspended for a short while due to a particularly fierce downpour, by 2pm the golf was concluded and pre-lunch drinks were well underway in the clubhouse. 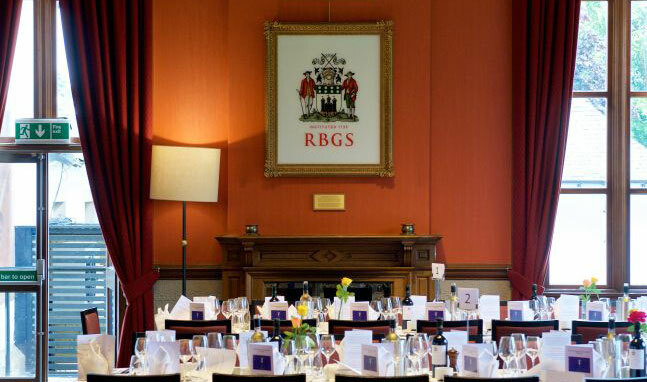 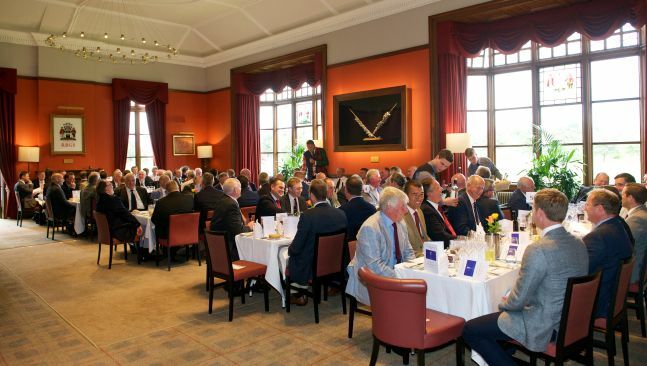 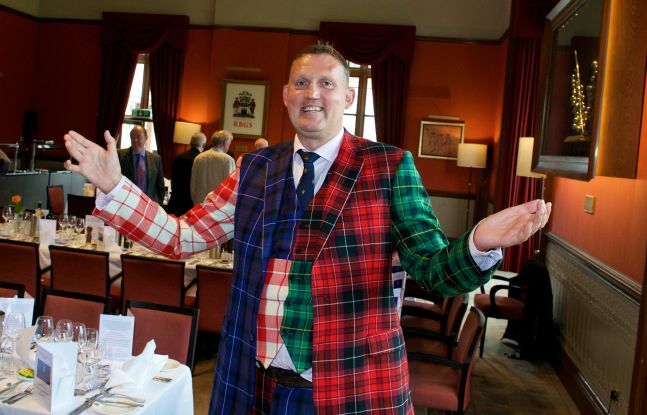 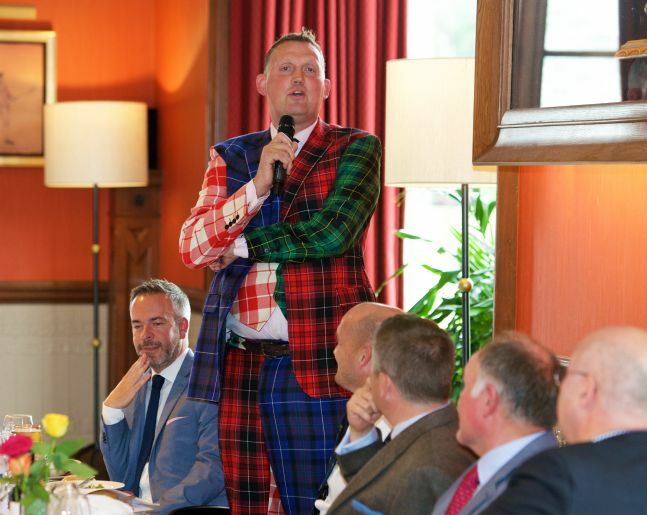 Additional lunch guests joined in time for Doddie Weir, once again our Master of Ceremonies for the day, to welcome all into the resplendent Royal Burgess dining room. 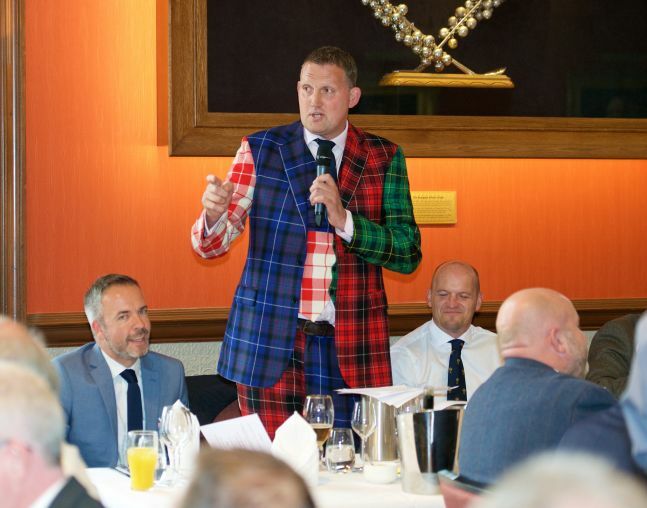 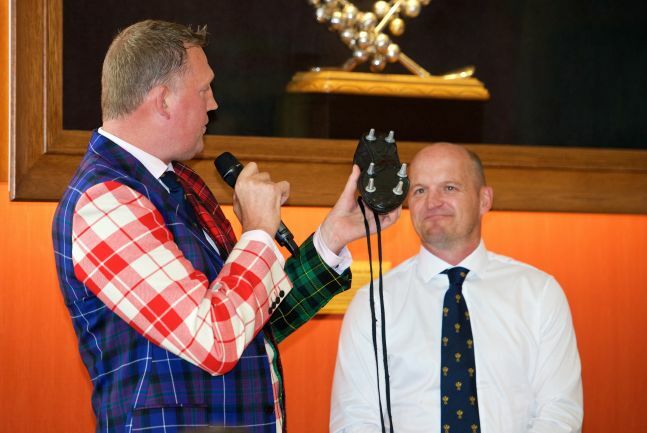 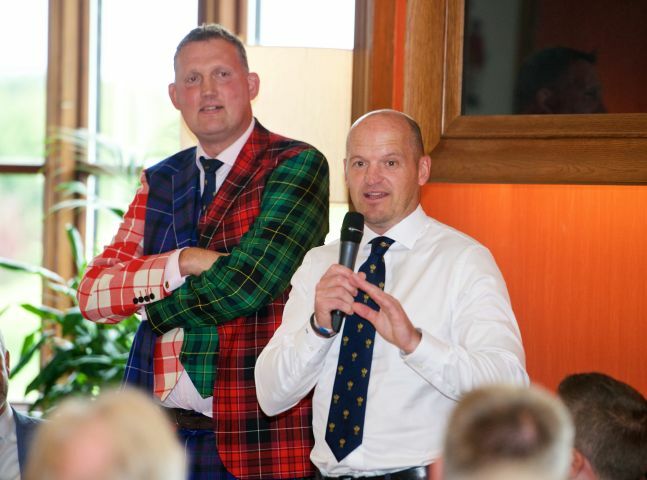 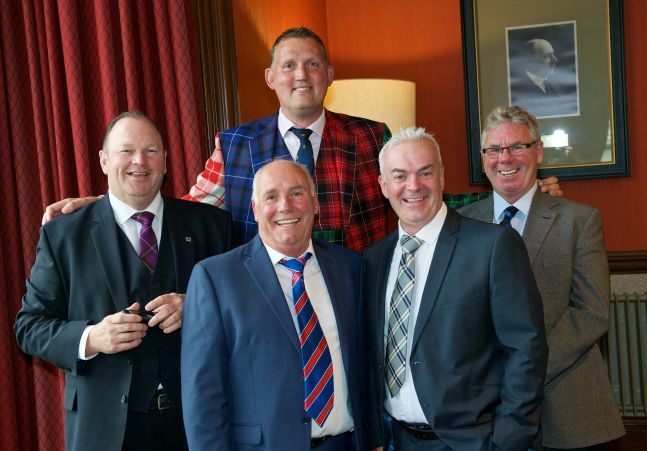 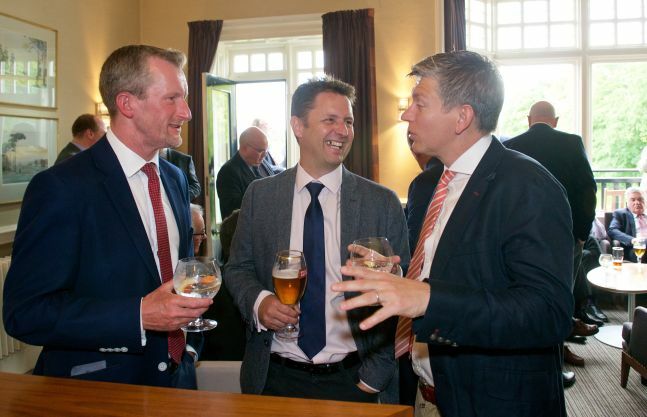 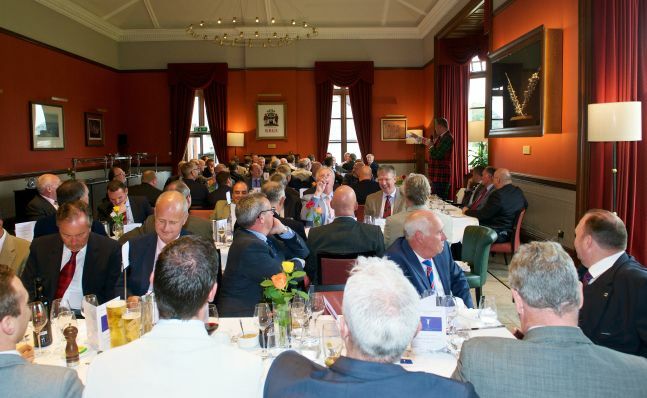 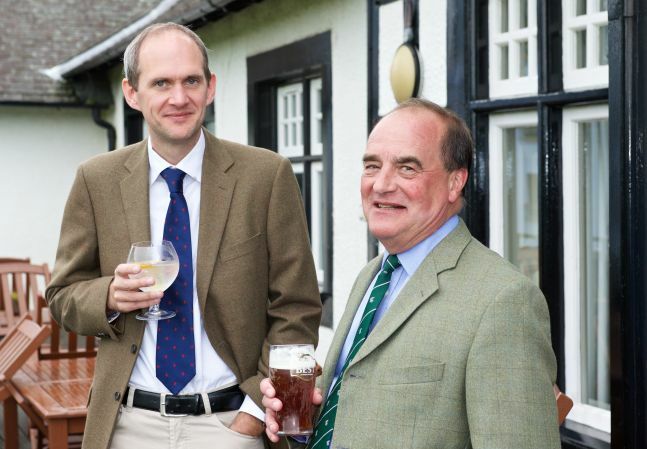 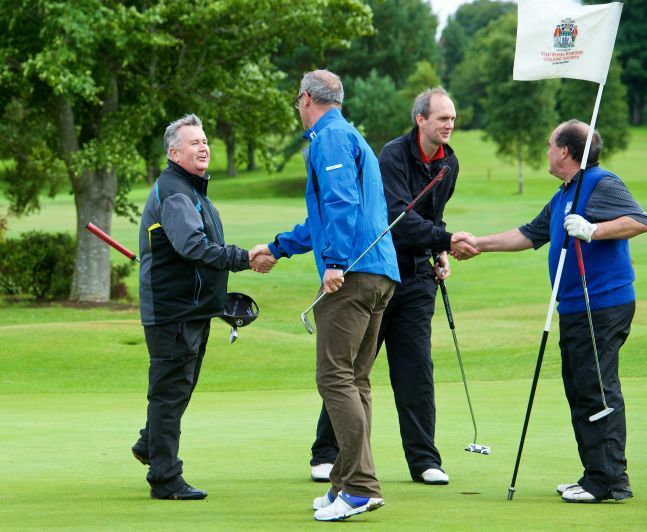 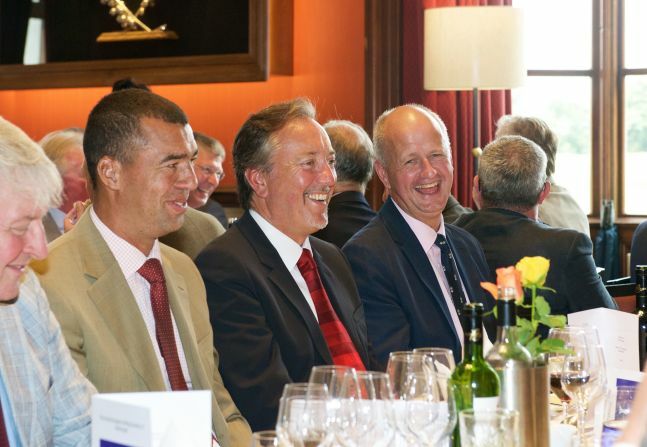 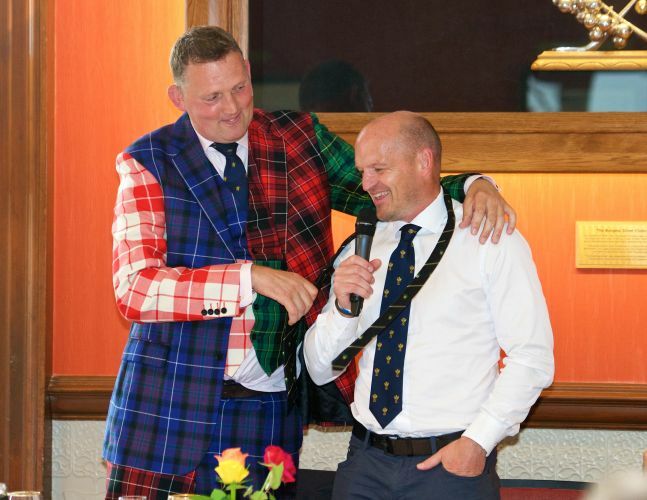 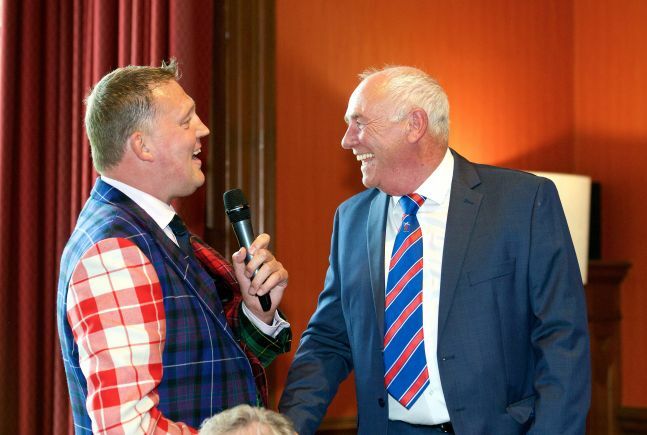 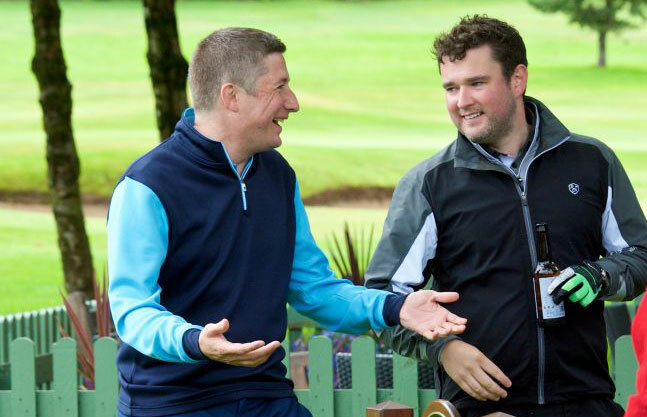 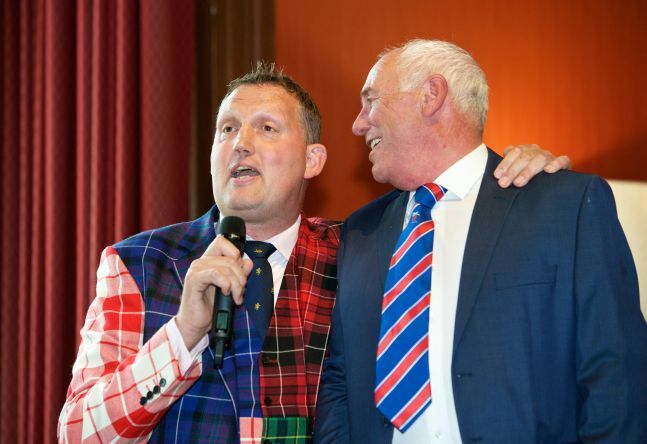 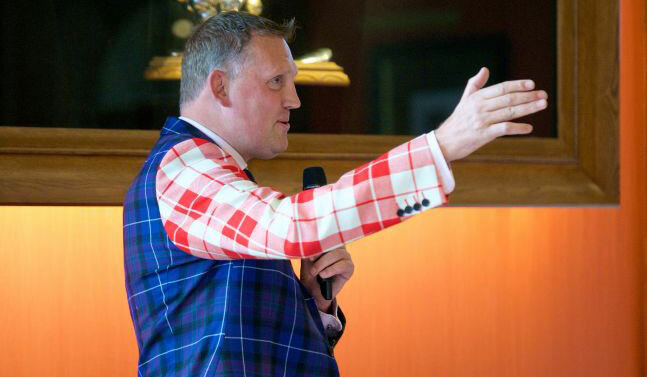 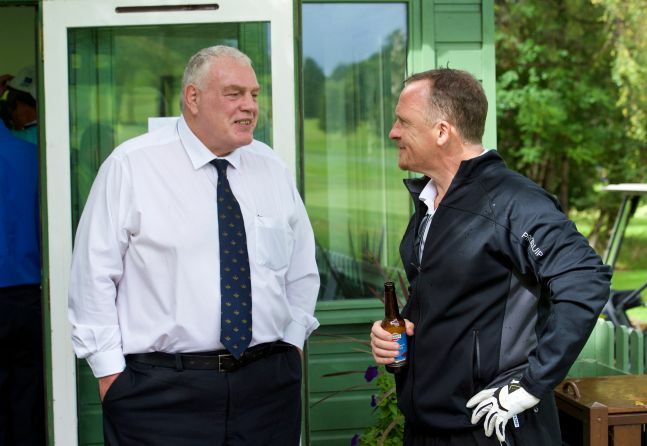 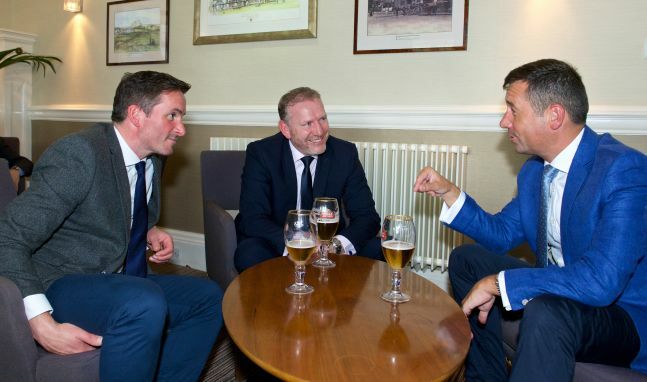 The DODDIE WEIR’5 Trust in aid of Motor Neurone Disease and Scottish Golf were the two chosen charities for the day and Fraser Porter thanked everyone in attendance for their generous support. 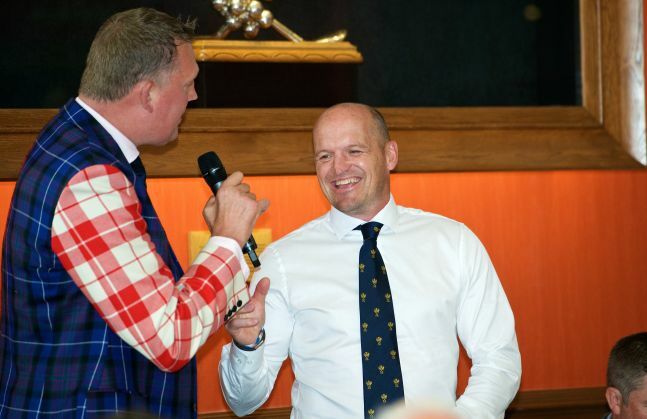 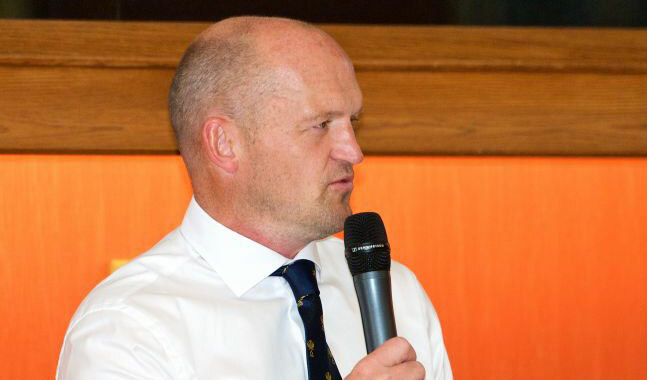 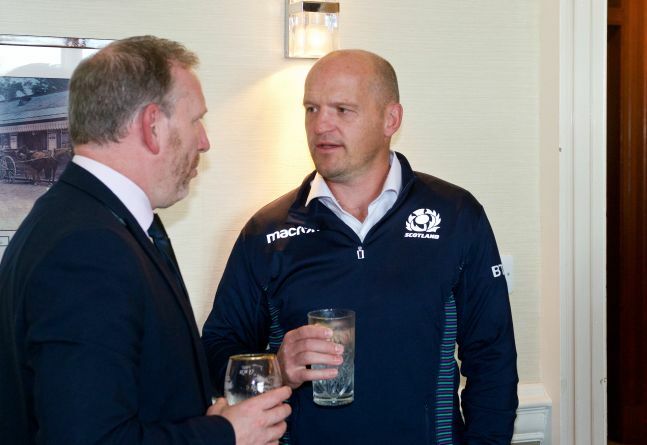 Doddie ensured the afternoon was filled with laughter as he took to the floor for a Q&A session with Scotland Head Coach Gregor Townsend. 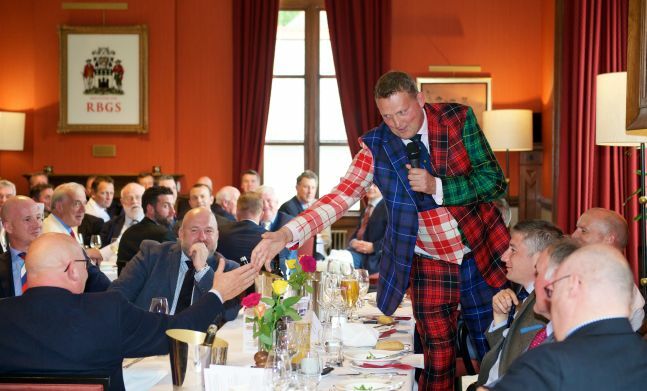 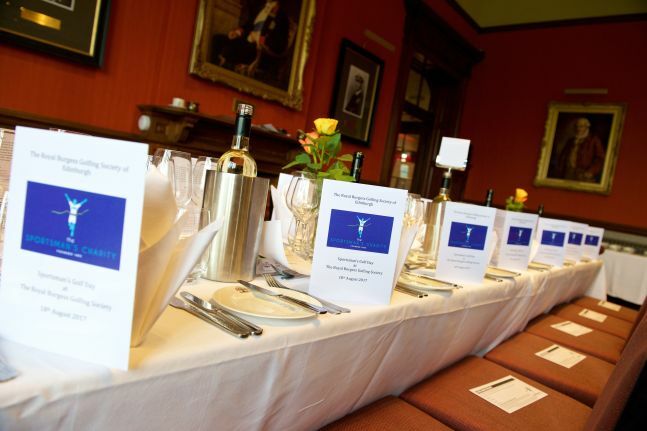 Guests were treated to a delicious three course meal interjected with much hilarity and numerous ‘charitable fines’ from Doddie. 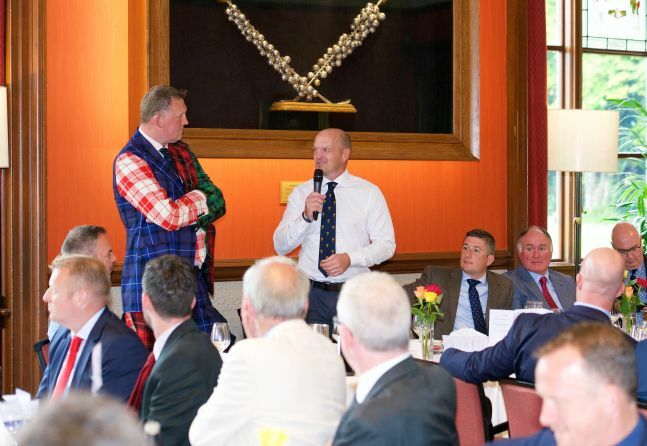 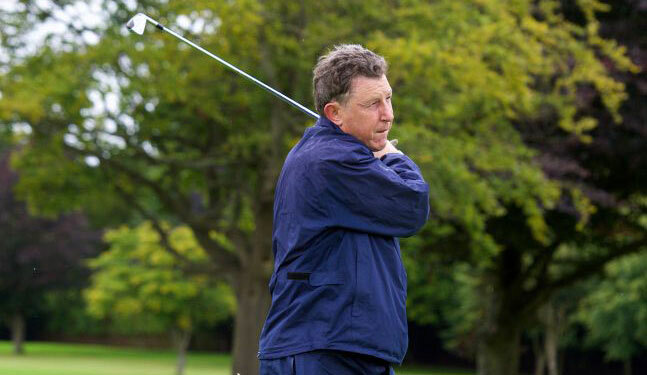 Overall a wonderful day was had by all which saw proceedings draw to a close following an emotional standing ovation for Doddie – a clear sign of the love, respect and the support in the room for him as he faces the challenge ahead following his diagnosis of suffering from Motor Neuron Disease. 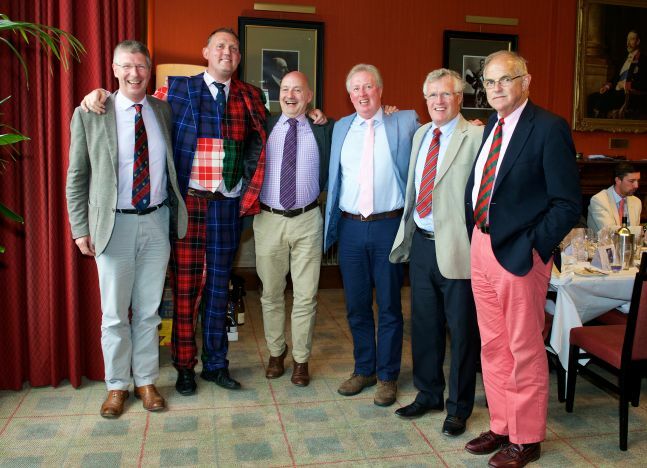 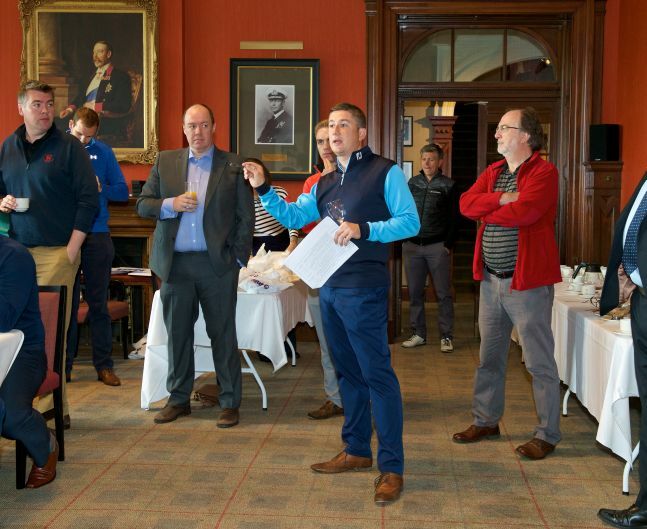 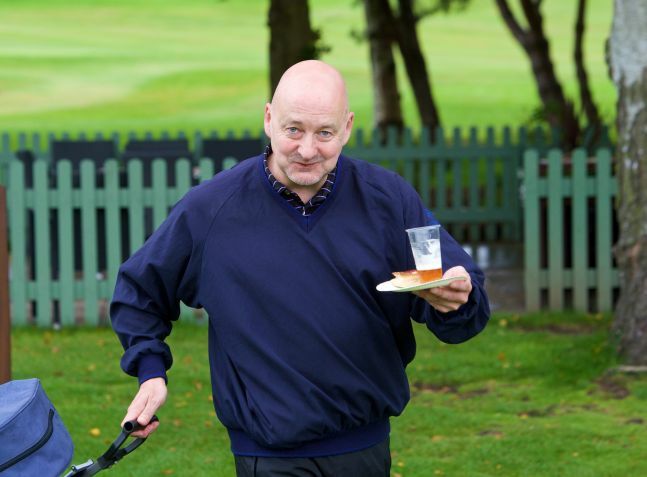 Proceeds from the day totalled £10,000 meaning both Doddie’s Trust and Scottish Golf received significant funds for their well deserving causes. 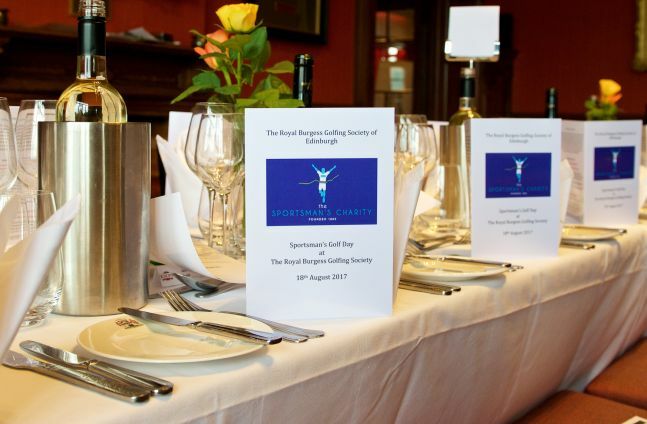 Many thanks again to Graham Callander and his team at the Royal Burgess Golfing Society who looked after everyone superbly throughout the day. 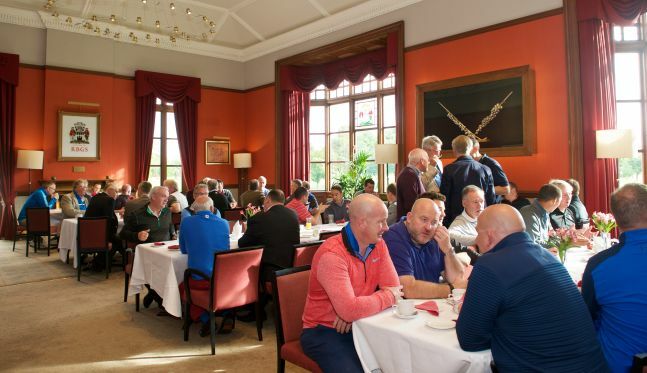 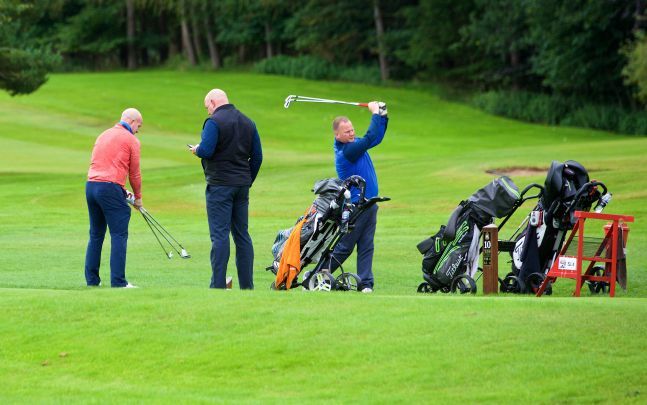 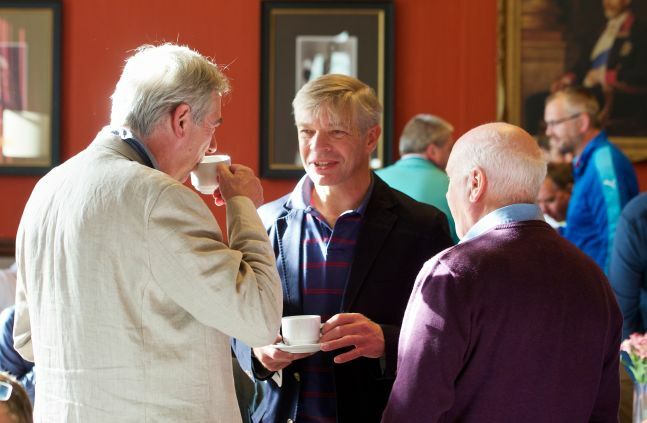 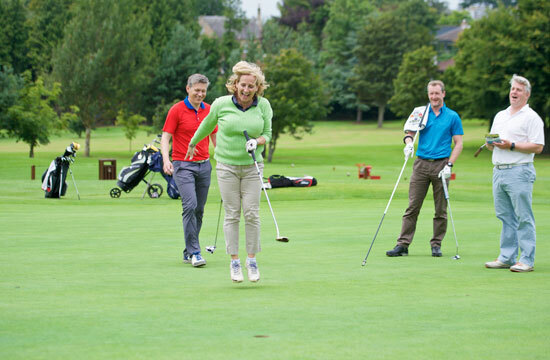 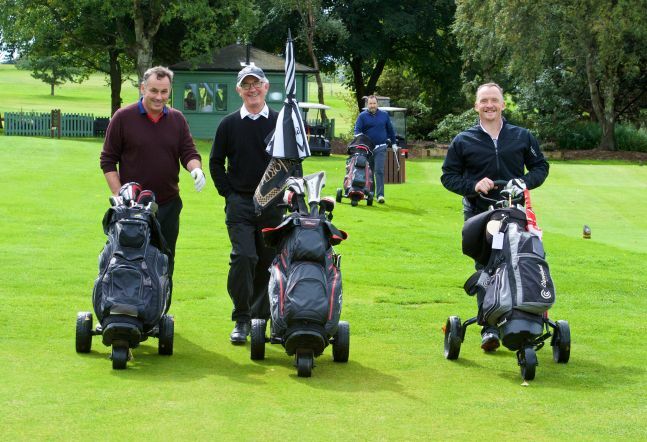 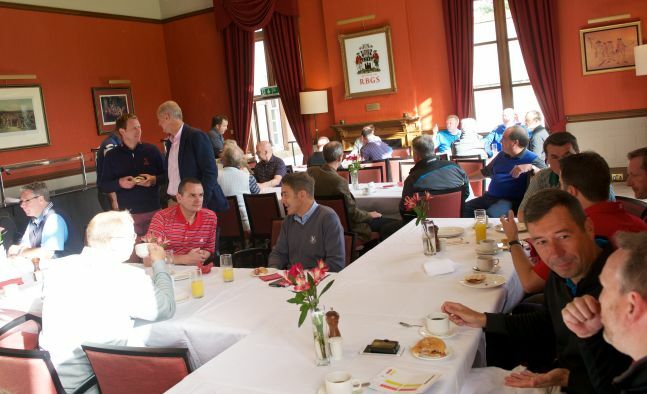 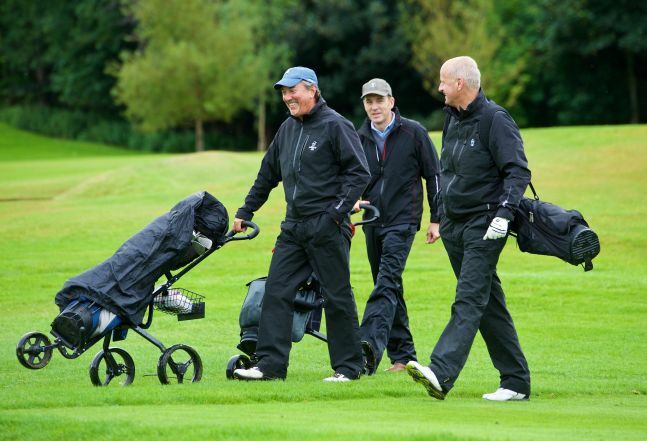 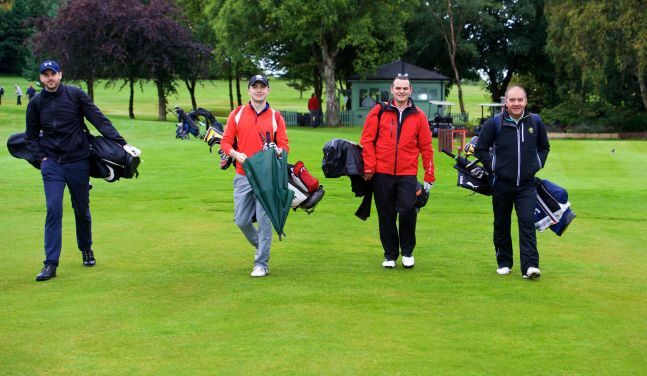 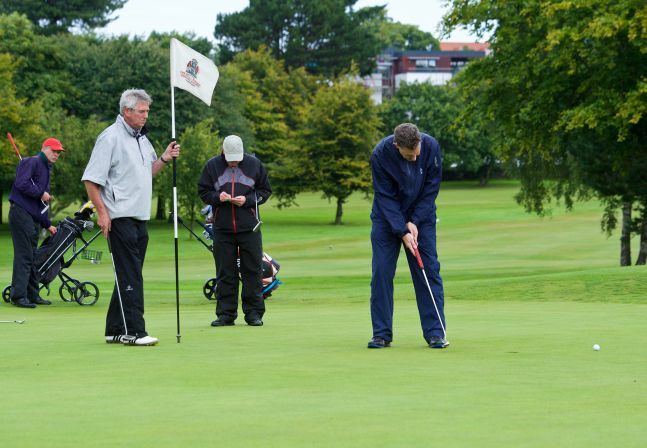 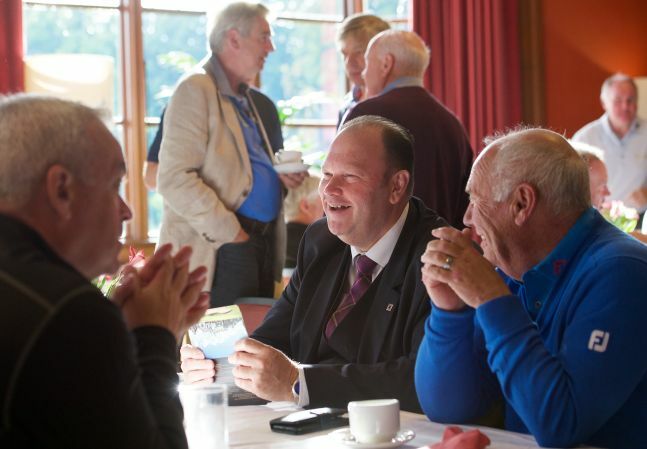 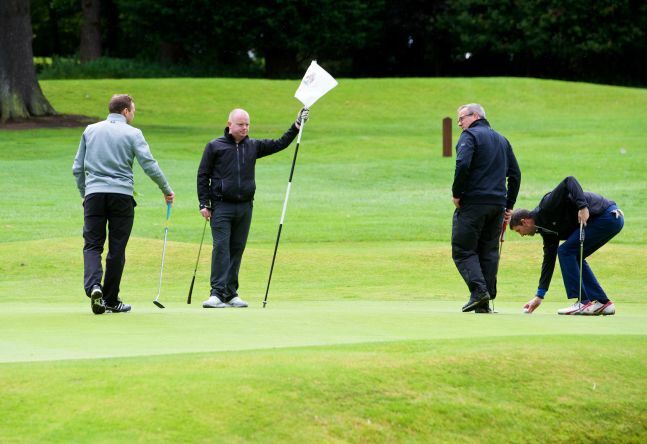 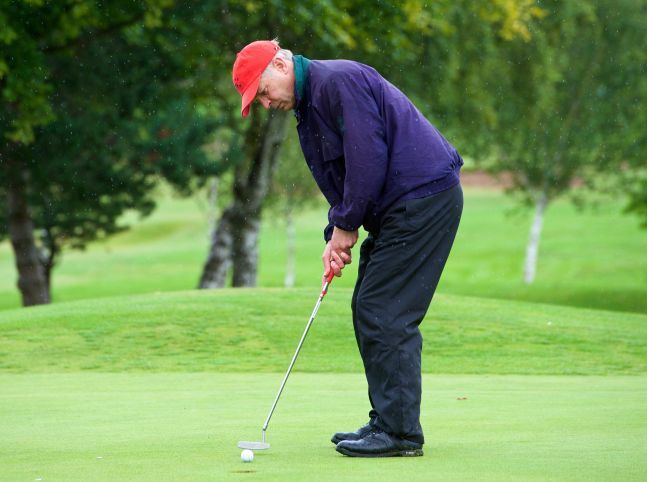 2018’s golf day will be hosted again in August - we look forward to announcing the date in due course.